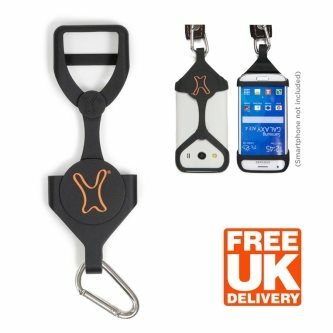 Christmas Gifts for Fitness Lovers, Tech & Outdoors! 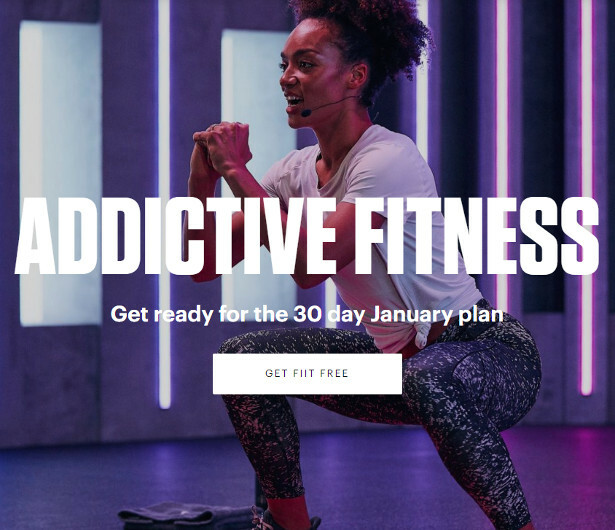 Fiit is the UK’s first form of interactive fitness that enables you to choose from a variety of specialist classes – from HIIT to Hatha – taught by the UK’s leading Personal Trainers with the added convenience of working out from the comfort of your own living room, hotel room or even office. 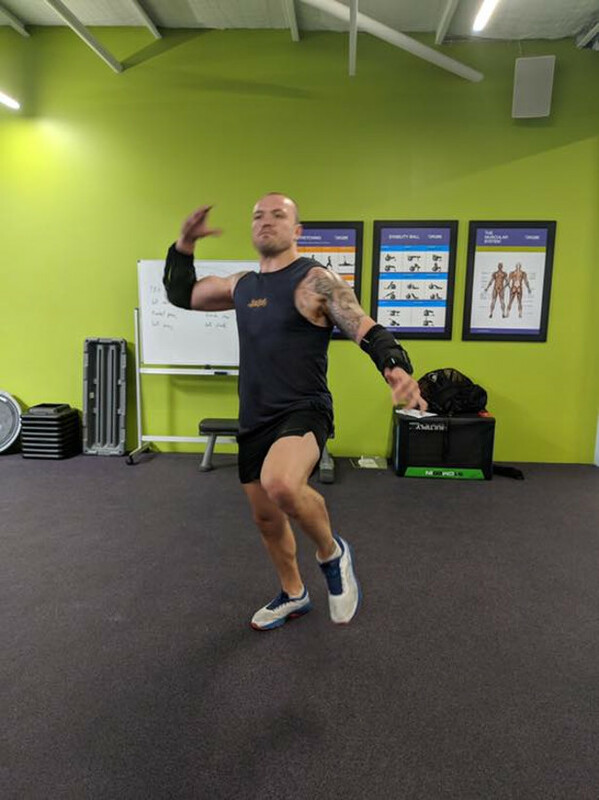 Fiit is a perfect entry point for those wishing to access fitness in a non traditional gym setting and is is especially perfect for those who are time short but want to get that quick HIIT in! 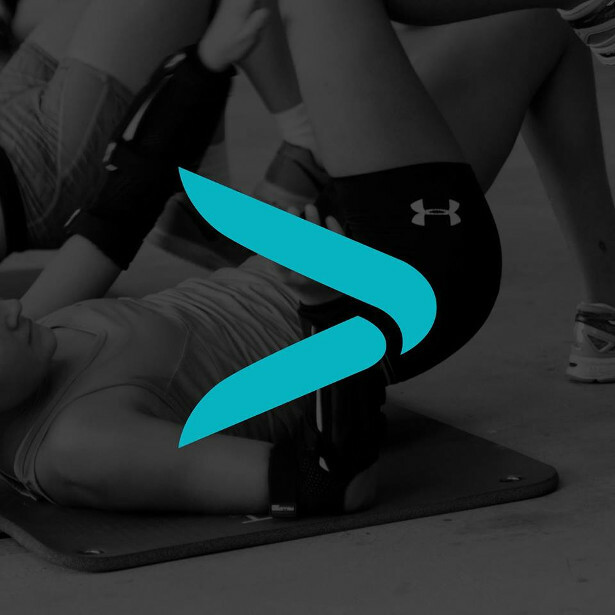 Though Fiit can be used anytime, anywhere, the ultimate experience is on the TV. Coined as the Netflix of Fitness, the Fiit apps casts to the TV in the same way you would watch Netflix. It comes with a chest strap embedded with an accelerometer allowing members to see real-time performance metrics such as reps, calories, heart rate live on the dashboard, helping members push themselves harder each session. Think of it as a pocket sized PT! One in five people who suffer from back pain have given up their job or reduced their hours because of their condition. The new poll for Medserena Upright Open MRI Centres found that, contrary to popular belief, back pain is just as common amongst younger age groups as the elderly. “Interestingly, our survey showed that 17% of people with back pain also suffer from claustrophobia”, comments Juliana Hyka, Radiology Manager of Medserena, “with women more prone to it than men. “Yet only 5% said they had been offered an upright open MRI scan for diagnosis. 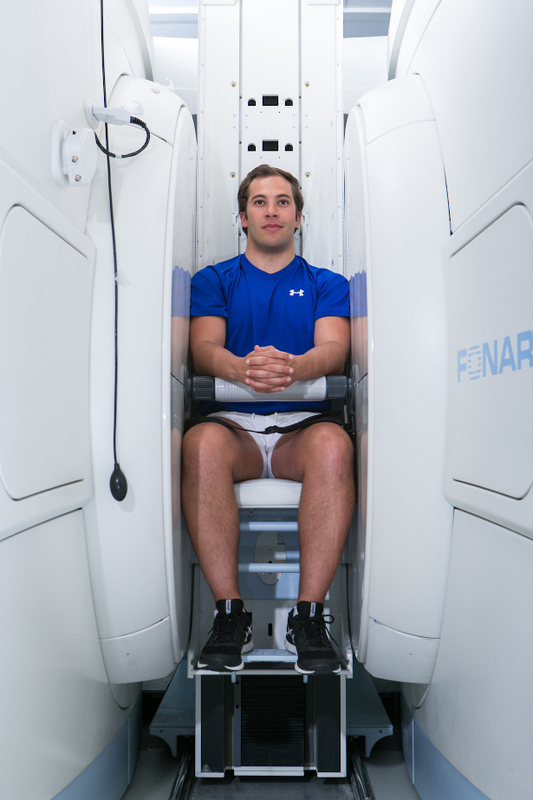 “Not surprisingly, 46% said they would prefer to stand up or sit down in a scanner which is open at the front – compared to just 19% who would opt for lying down in an enclosed tunnel”. Medication was the most popular form of treatment for back pain, taken by 47% of respondents. A third had been treated by a practitioner such as an osteopath or physiotherapist, whilst a quarter had taken to their bed for rest. However, 27% hadn’t bothered with treatment at all, opting to grin and bear it. Just 14% of top professionals said they had received no treatment, whereas the figure for semi-skilled or unskilled manual workers was 36% (not even painkillers). The Medserena Centres in London and Manchester offer upright, open MRI scans which are very different to the conventional ‘tunnel’. The scans are carried out in a natural weight-bearing position. You can stand up, sit down, flex your neck and be moved into different postures – so the scan is carried out in exactly the position that pain is experienced. In many cases, this provides a more conclusive diagnosis of back pain than traditional MRIs that are performed lying down. The open structure is ideal for anyone suffering from claustrophobia and also accommodates very large patients – up to 35 stone – more easily than the tunnel type. Medserena surveyed 2000 people who had experienced back pain in the past 12 months. The research was carried out between 10-18 September 2018 by OnePoll. At this busy time of the year… Christmas. 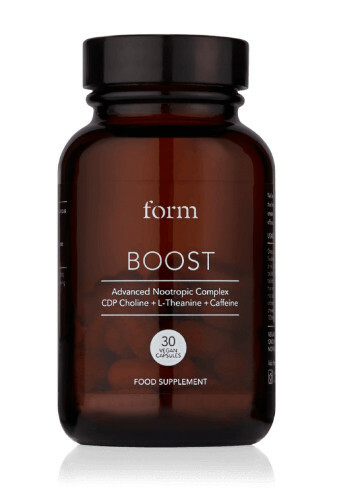 Retaining Super High Mental Processing & Physical Capabilities Is Essential, try www.formnutrition.com for Boost Nootropics Compounds & Performance Protein! Please see press release attached with information on Performance Protein and Boost. 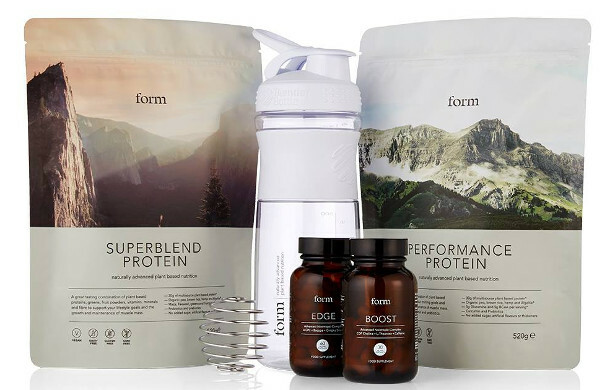 FORM’s range of protein blends have been formulated under the watchful eye of Head of Nutrition, Dr. Adam Collins. A highly qualified nutritionist with over 20 years of experience, Dr. Collins is also Director of the MSc and BSc Nutrition courses at the University of Surrey and holds an MSc in Nutrition & Metabolism and a PhD focusing on energy expenditure and body composition. His current areas of research include Intermittent Fasting and nutrient timing. 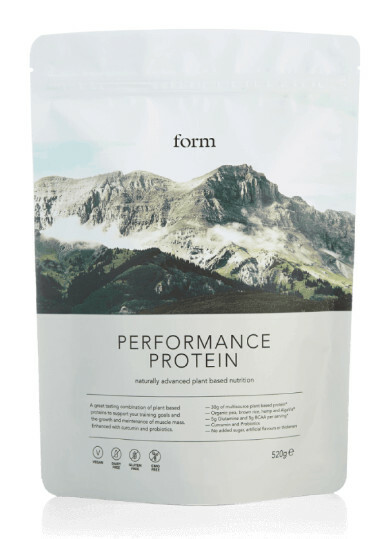 Our innovative protein blend comprises organic pea protein with brown rice, hemp and AlgaVia® whole algae protein to deliver a complete amino acid profile protein without the need for animal products. 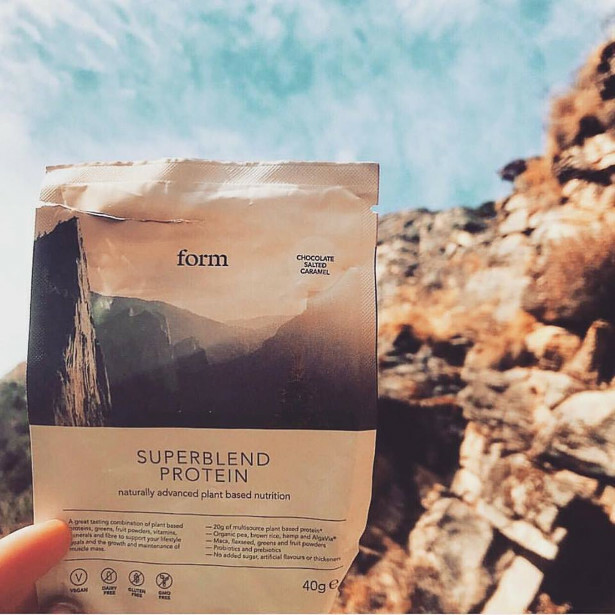 By providing sufficient amounts of all amino acids, and especially the key 9 ‘essential’ amino acids which cannot be synthesised by the body, our protein blend ensures optimal muscle growth and repair plus sustained energy throughout the day. 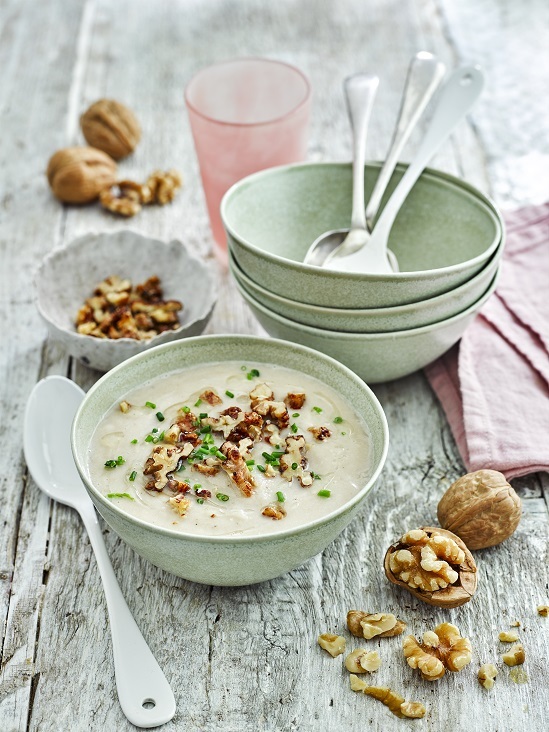 Our products are free from thickeners, artificial flavours, soya, gluten and sugar. They are vegan, Halal and Kosher. Combining the latest scientific research with carefully crafted flavours our innovative range supports your peak performance and a great cause. 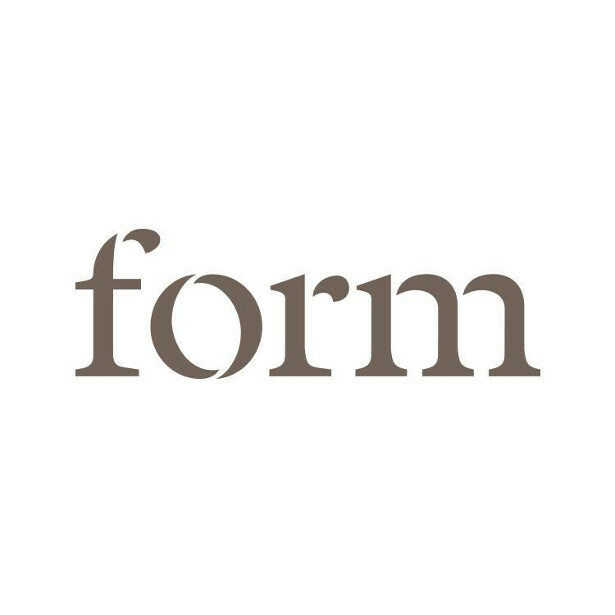 Whether you are looking for a performance boost, muscle growth or cognitive support, Form has a solution for you. 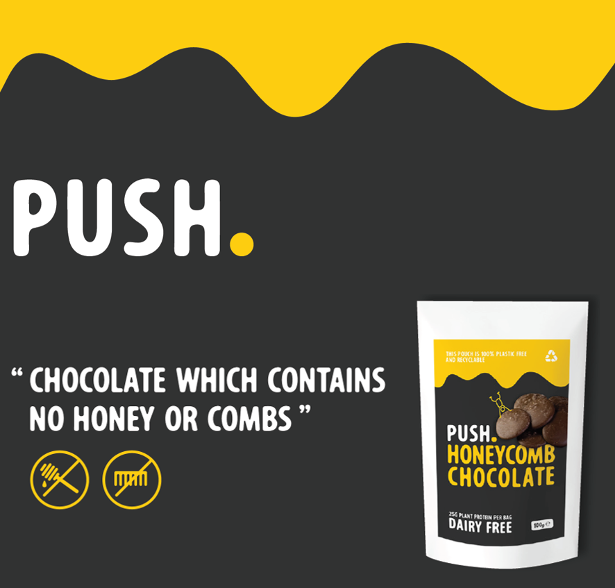 The UK’s first high protein vegan chocolate buttons in four delicious flavours – original, orange, mint and honeycomb. 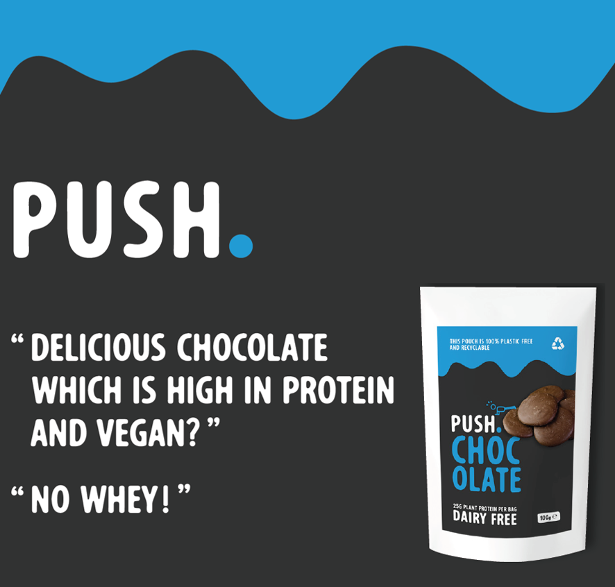 High protein, vegan chocolate buttons start up called Push Chocolate (www.pushchocolate.com) is an on-the-go product aimed for busy, fitness focused and / or vegan consumers looking for a healthier snack. 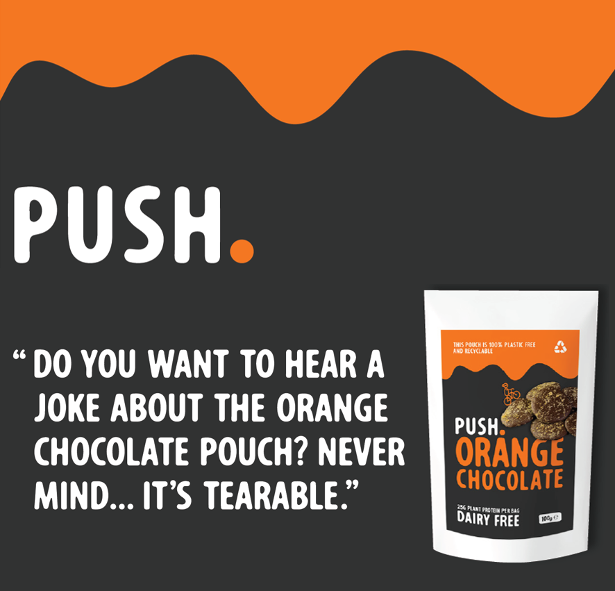 Push Chocolate launched in September 2018. 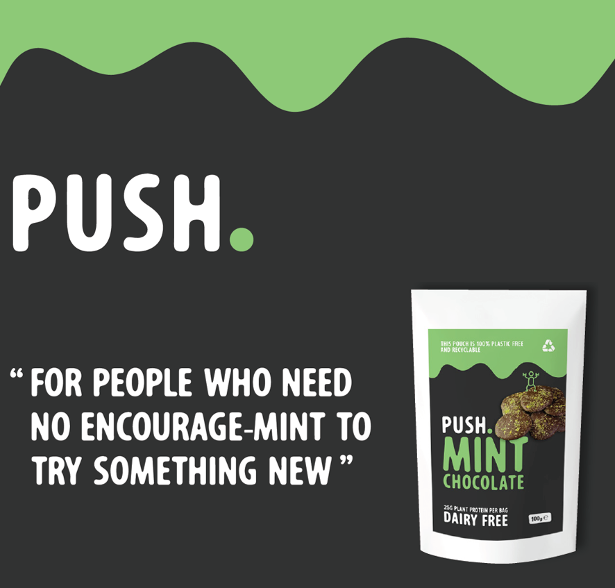 Push Chocolate makes high protein, vegan chocolate buttons, available in four flavours – original, orange, mint and honeycomb, using only natural ingredients and has 50% less sugar than other mainstream chocolate buttons. without the whey side effects some consumers get or unable to have. 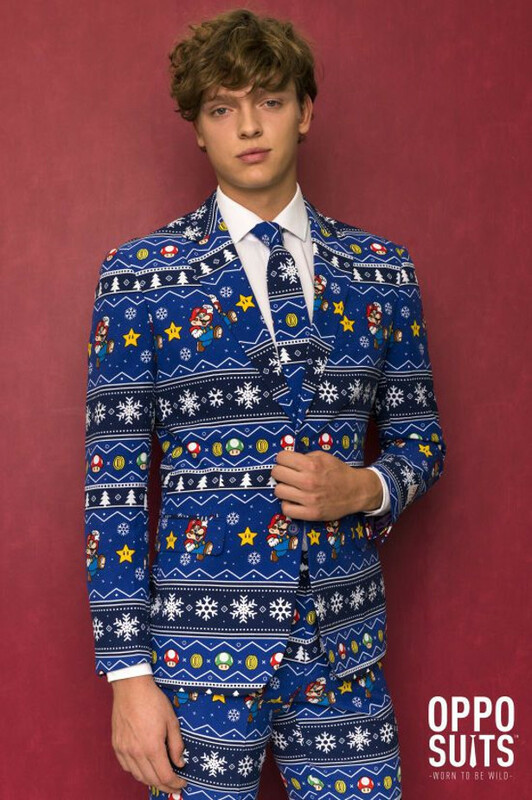 The legendary video game that got most of us hooked once upon a time, is creatively translated into a wintry, dark blue ‘Merry Mario’ suit with an all over print featuring Mario himself, golden coins, mushrooms, snowflakes and Christmas trees. 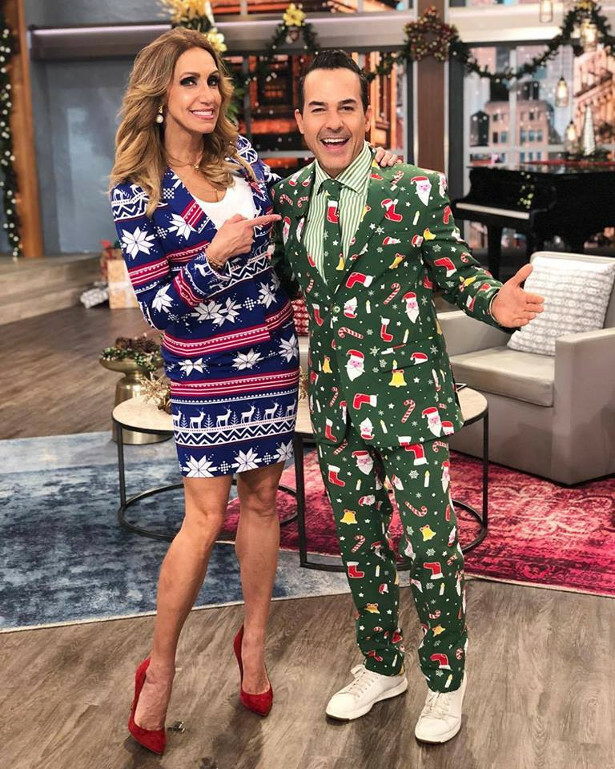 The outfit, consisting of pants, a blazer and a tie, is a unique reply to traditional formal wear and will most likely find its way into the hearts and wish lists of many fans this holiday season. 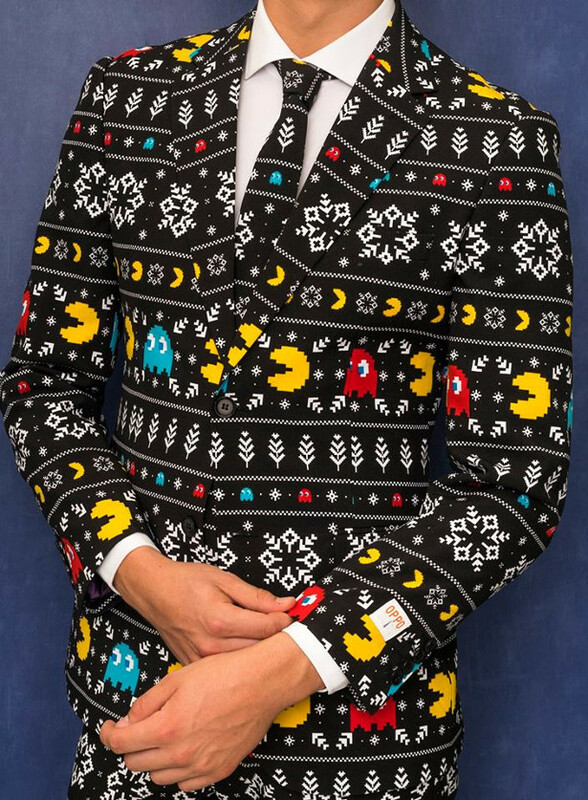 The Mario suit is the newest addition to OppoSuits’ best-selling, ‘geeky’ comic and video games collection, which already consists of official PAC-MAN™ and Tetris™ suits, as well as Star Wars™ and Marvel™ themed suits. The collection will continue to expand; new styles, including a second Nintendo collaboration, are already on the agenda for 2019. 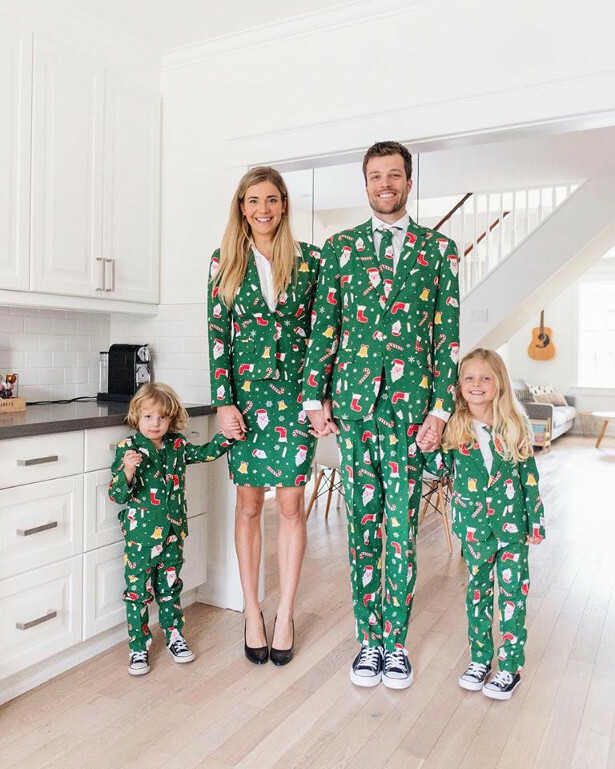 OppoSuits started out as an idea while traveling through Southeast Asia. 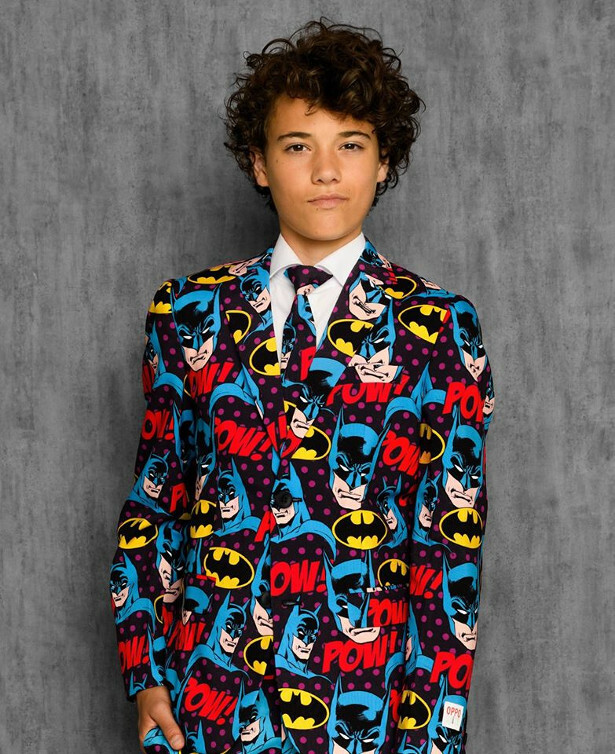 Since that moment, the concept ‘formal wear with a fun twist’ was born and grew into a successful adventure. 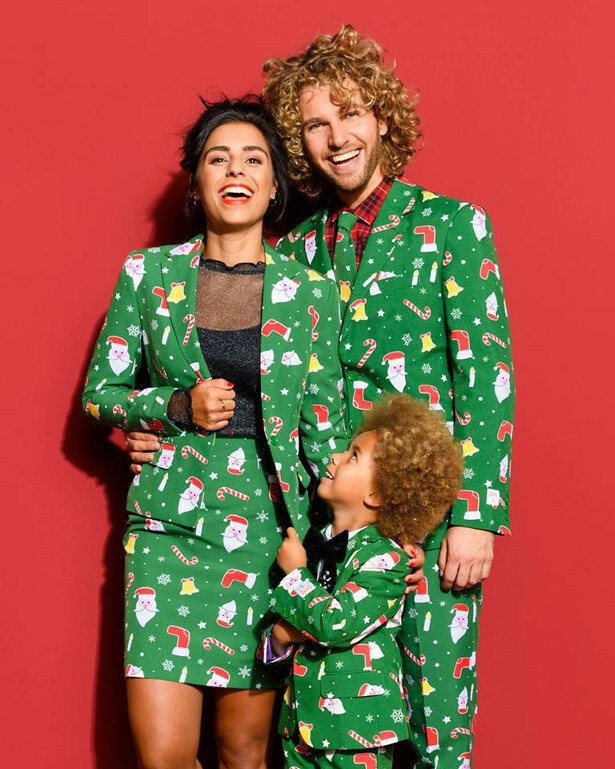 The Dutch clothing company offers attire for men, women and boys, which is being sold around the world via OppoSuits’ own online channels and local costume stores and famous international retailers like Macy’s, Selfridges and Kohl’s. Besides their own designs, the company collaborates with big brands like Marvel, Star Wars and Nintendo to create exclusive products. 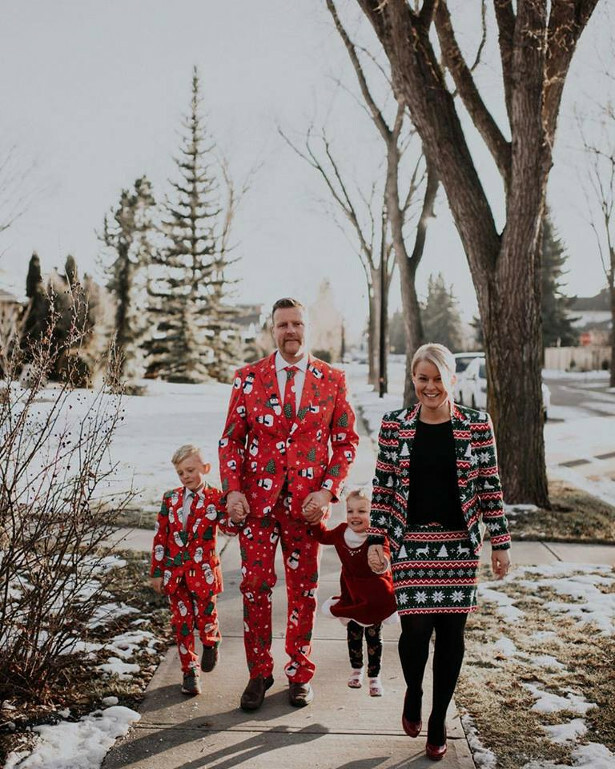 In just six years, OppoSuits has set up a range of over 100 styles. The multinational now has over 50 employees, working from offices in The Netherlands and New York City. 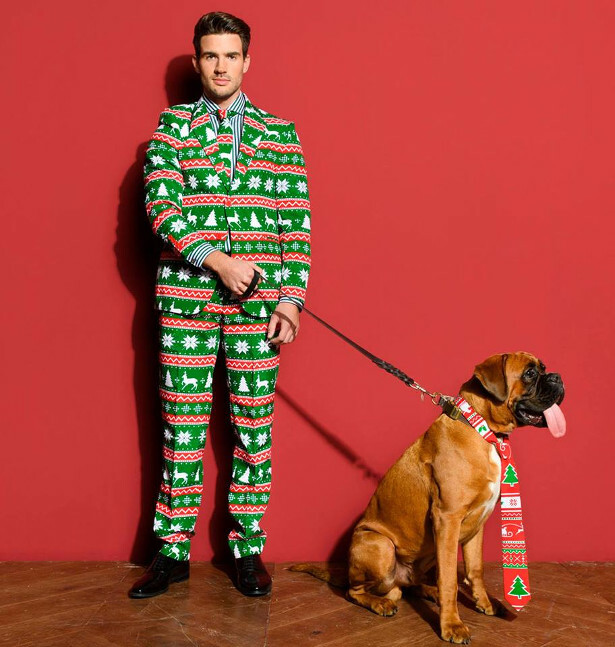 This compliments the OppoSuits Christmas selection, examples below! Magnesium is an essential mineral for overall health and wellbeing. 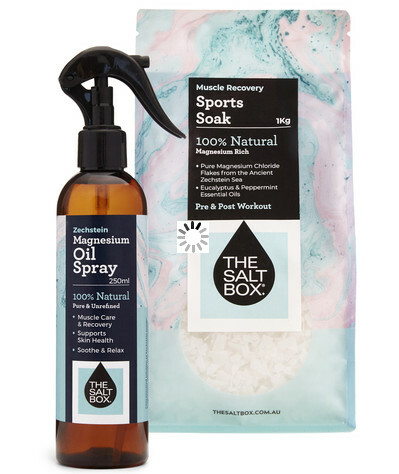 The Magnesium Chloride in this Sports Pack is sourced from the Ancient Zechstein Sea which is known for its purity and quality, ensuring you the best natural product.Our Magnesium Chloride is 100% natural, pure and unrefined. Magnesium is an important part of a balanced diet however, many of us have lower levels that necessary. Absorbing the mineral transdermally (through the skin) is a great way to directly benefit from its soothing properties. Perfect for pre and post workout recovery! This pack includes spray for on the go, and bath flakes for relaxing in at the end of the day. An invigorating blend of pure Magnesium Chloride Flakes from the Ancient Zechstein Sea, and 100% natural Essential Oils – perfect for use pre or post workout. Magnesium is an important part of a balanced diet, however absorbing the mineral transdermally (through the skin) is a great way to directly benefit from its soothing properties. 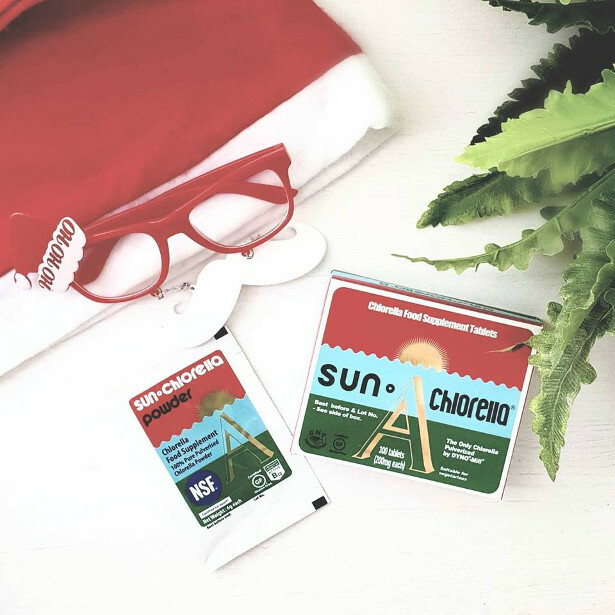 Our Magnesium Chloride Flakes are 100% natural, pure and unrefined. 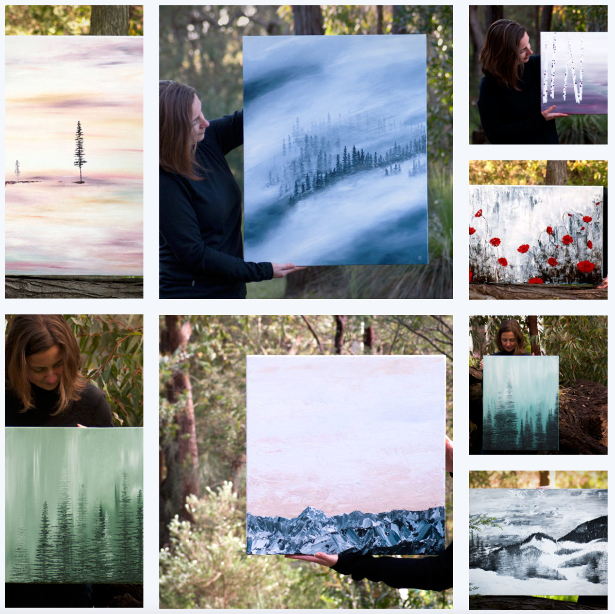 This distinctive gift is for the outdoorsy men and women in our lives – paintings that capture the cool mountain air, the fresh smell of the alpine and the wind rustling through the leaves. They remind us of the amazing sensations that infuses body and mind when we immerse ourselves in nature, and they allow us to escape into them when yearning for our next hike or snow adventure. A painter, hiker and ski bunny, I use palette knives and acrylics to add texture and depth to create pillows of fresh powder, jagged mountain peaks and the bristles of towering pines. Clients can choose from the existing collection online or commission a special painting based on the beautiful memory they want to bring to life. Paintings are shipped worldwide and can be viewed on www.rebeccacollett.com. 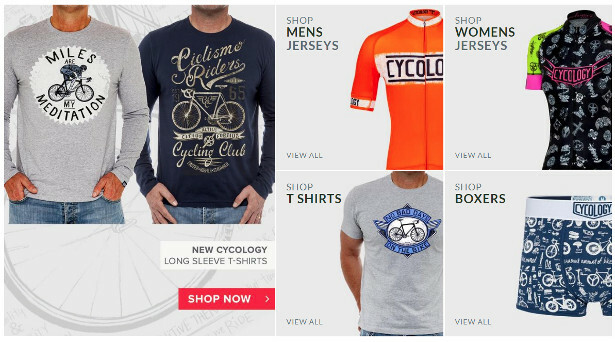 Men are notoriously difficult to buy for at Christmas time, but a local cycling-inspired clothing business, Cycology, has changed that perception by offering some great ways to solve the dilemma. 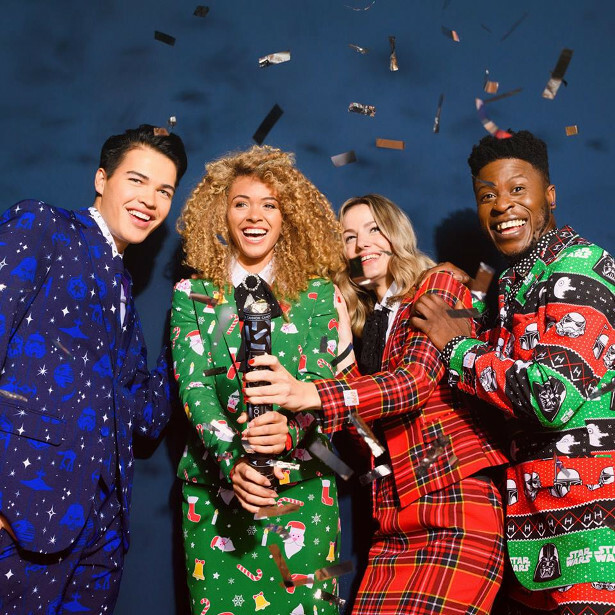 According to Michael Tomchin, co-founder of Cycology, t-shirts are the category within our range that shoppers really target at this time of year. The “something special” ingredient is found in the unique and totally original artwork, all hand drawn or painted by the other co-founder Sarina Tomchin. Cycology was started in late 2012 as an outlet for Sarina’s art and design talent, inspired by her passion for cycling. In 2013 digital-marketing guru Dean Rushton became a part-owner and thereafter, Cycology’s business doubled each year. 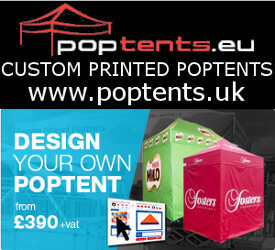 Last year the business achieved over 50,000 sales worldwide. 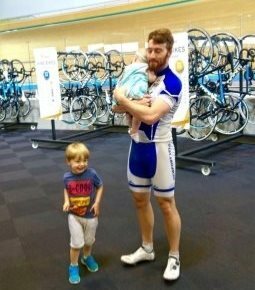 The home-grown business now sells its bespoke cycling t-shirts via its own websites to over 80 countries worldwide, with orders fulfilled via logistics warehouses in Australia, UK and USA. Sarina continually creates new designs that adorn the extensive product range that cyclists across the globe are drawn to, whether they are on or off their bikes. Everyone needs to relax every once in a while. Whether it be after an intense work out, spending hours in front of the computer or a challenging outdoor adventure, you feel you’ve earned something just for you. You deserve something special, something worthy of your achievement. You get a glass and pour a smooth refreshing Jack Vettriano Gin & Tonic. Relax back and appreciate the timeless art and the quality that life can bring to those with passion and commitment. Jack Vettriano Gin. For those who appreciate the finer things in life. 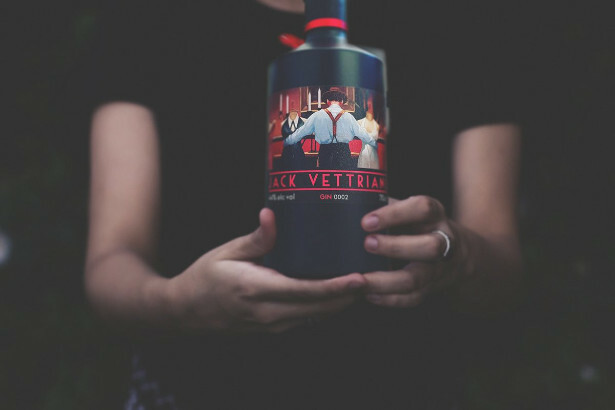 44% Ultra Premium British Gin featuring the work of Britian’s best selling artist Jack Vettriano. Strictly limited to 2500 bottles per painting. Four paintings with 100 of each personally signed by Jack. Whether it’s ‘for the gamer, ‘for the techie’ or simply ‘for her/him,’ Philips Hue connected lighting range is simple to set-up for even the newest smart home fan and provides a memorable gift that will impress family and friends alike! Hue is a leading personal, wireless and smart lighting system, combining brilliant and energy-efficient LED light with intuitive technology. It will forever change the way you control and experience light. Simply screw the Hue bulbs into your existing fittings, download the app, set up the bridge and follow the instructions to set brightness, create times, change colours, sync with your TV, email, social channels… it can easily fit in to any smart home set up and syncs with both Google Home & Amazon Alexa. Philips Hue Play is elegant and flexible and allows you to choose from 16 million colours! Simply integrate it into your home and create special lighting effects. You can use it to create a TV backlight feature, create the perfect ambience for a relaxed evening or dive even deeper into your games with synchronized lighting effects using Hue Sync. Simply connect Philips Hue Play with the Hue Bridge – your control panel for all Hue lamps and experience how your home always shines in the right light for you. 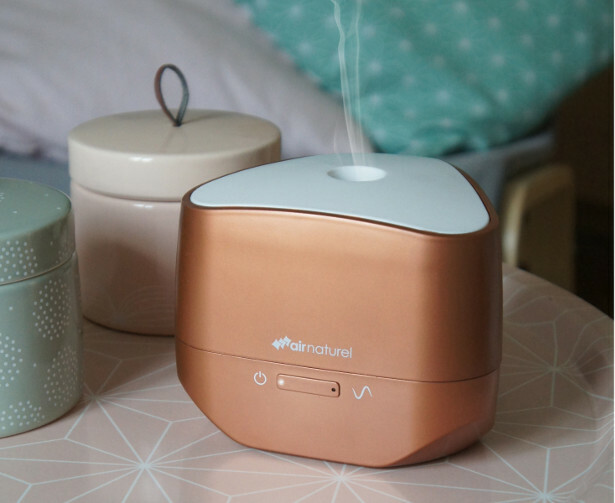 For those who already have Hue in the home, feel energized and relaxed for those sleepy, dark winter mornings with the Hue bathroom range. The new Hue Adore range comes in a selection of designs to finely tune the right light at any time of the day in your bathroom. The Adore Hue wall mirror helps to get you energised in the morning and unwind with the perfect relax light before going to bed – settings can be adjusted with the Hue app. 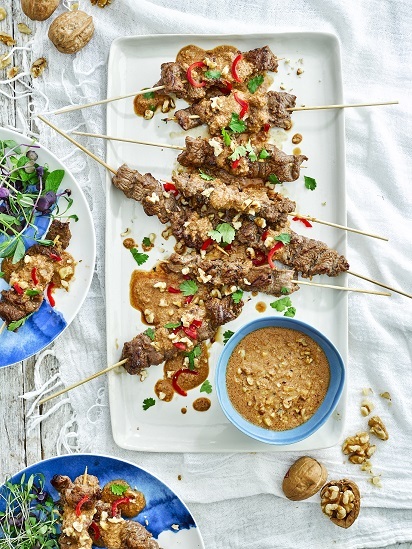 Hue Go – for the hostess with the mostest! The Philips Hue Go adds half a sphere of warm glowing light to emphasise your multi-coloured or soft glow style. 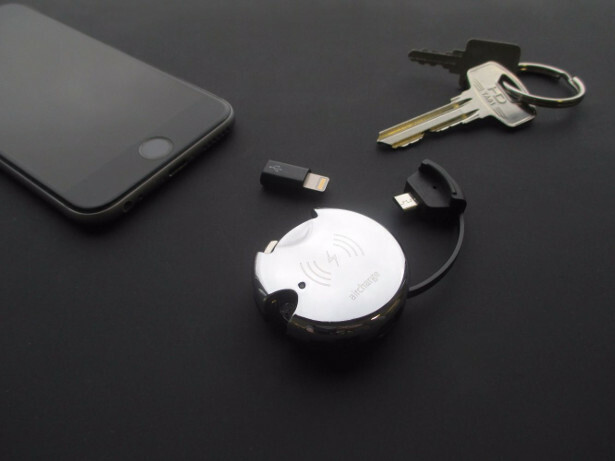 It’s powered via a mains plug, but can also work wirelessly for up to three hours via the built-in rechargeable battery, meaning you can take it outside, or place it to for parties without cables getting in the way. Rise on Christmas morning with a gradual sunrise-like setting using Philips Hue. Prepping Christmas dinner for the family? A bright white light is the ideal task lighting, before unwinding in the evening with a relaxing, warm white setting. A full spectrum of 16 million colours are available via the Hue app to create a light show at home which can even sync with your favourite festive music or Christmas movie – giving you the ultimate cinematic experience. Want to add a little something special to that new Christmas game you gifted? Hue can now sync up to your games thanks to their Razer partnership that now offers a truly immersive gaming experience like no other. Available from Amazon, John Lewis, Argos and other major retailers. 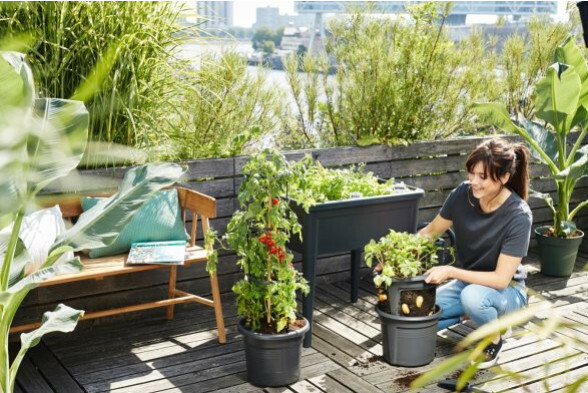 Turn your garden into a magical winter wonderland with the new Hue Outdoor range. Add mood lighting to any BBQ or light the way up your garden path with a selection of luminaires which can be controlled via the Hue app when away from home. Choose designs from the Lilly, Lucca, Tuar and Turaco models. 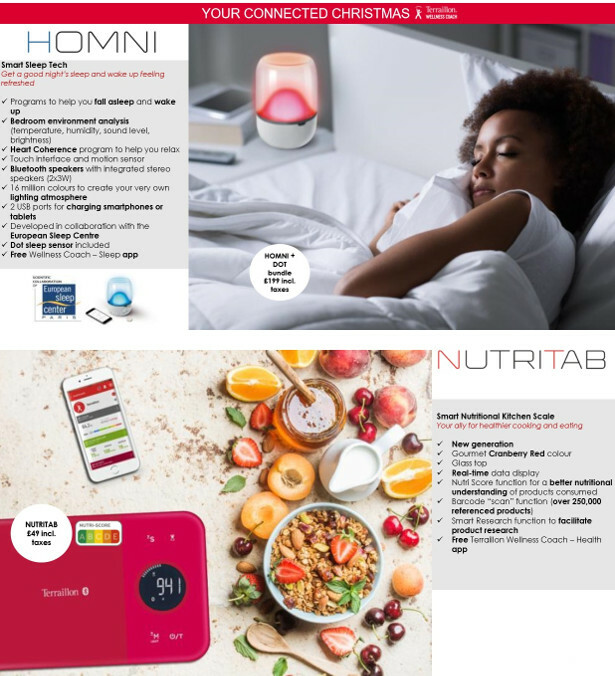 With advances in technology meaning high quality tech is available at much lower prices, it is now possible to buy some pretty advanced gadgets for less. 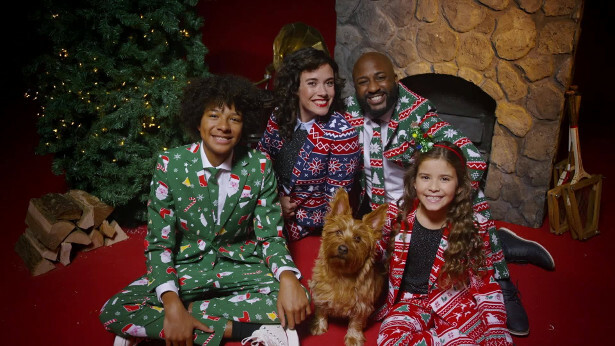 Christmas is a time that can be stressful for many, and the pressure to fork out huge sums on presents can be overwhelming, particularly for those on tight budgets. So, take the pressure off, there is no need to spend a fortune on premium products. Think smarter, and grab one (or more) of these six up-to-the minute tech gifts, which will impress even the most advanced gadget geek. Keen to gift a smartphone that has many of the same features as a premium phone such as the iPhone XR, but lacking in the thousand pound budget? You can now get many similar features – such as 12MP rear camera, 6 inch HD screen, Face Recognition to unlock the phone and a handy Fingerprint Scanner from the Alcatel 3V which costs around a tenth of the cost of premium devices, at £129.99 from Tesco Mobile. The Alcatel 3V has a 18:9 screen ratio’ which means it has a display that is taller than a typical 16:9 screen and as a result, provides you with a bigger screen in a smaller device for a better grip. The high quality 2K Display means fans of Netflix and YouTube can watch their favourite content on a bright and crisp screen, providing a truly immersive viewing experience. The Alcatel 3V is now available in glossy blue, glossy black or gold for £129.99 SIM-free Pay-As-You-Go from Carphone Warehouse. Music aficionados who love a bit of deep bass in their tunes will enjoy these stylish on-ear headphones from Sony in a smart deep blue hue. Cleverly designed for the ears of EDM and Hip-Hop fanatics, the MDR-XB650BT Extra Bass On-Ear Headphones feature extra bass technology from Sony. The Bass Booster feature manages the noise reduction effectively maintaining an acoustically-tight seal, providing a rich and warm bass sound on all tracks, without leaking sound. Lightweight and wireless, these headphones are perfect for mobile use without sacrificing the quality in sound – ideal for those that like to listen to music at the gym or whilst running. The headphones are now available in blue red or black, with a 2 year guarantee from John Lewis for £69.99. Provide entertainment for everyone on Christmas Day by gifting the latest Echo Dot from Amazon. Ask the voice-controlled speaker to play music, answer questions, read the news, check the weather, set alarms, control compatible smart home devices, and more. Music can be streamed through the handy little device including songs from Amazon Music, Spotify, TuneIn and others through the speaker for richer and louder sound. Calls can be made hands free and even in the largest of rooms, Alexa hears the voice instructions from across the room. You can also connect to your own speakers over Bluetooth or with a 3.5 mm audio cable. Available in three different colours for £49.99 from Amazon. Lightweight and portable, the Lenovo Tablet is ideal for on-the-go multimedia. A wide-view 10.1″ HD screen means watching movies, music and gaming is easy to enjoy. The immersive Dolby Atmos means cinematic moving audio that flows all around will really bring content to life. The touchscreen 10-point multi-touch display delivers crisp images and the quad core processor and 2GB memory deliver a smooth, responsive experience for even the most demanding multimedia requirements. Comes with 16GB internal storage, expandable up to 64GB with microSD card. With 10 hours of battery life those long festive journeys to visit relatives won’t seem half as arduous. Available now for £99.00 from Argos. For Netflix fans and those that love to kick back, relax and enjoy a good box set, the new Amazon Fire TV Stick with Alexa Voice Remote makes a very cool Christmas present. The lucky recipient can enjoy a huge choice of over 10,000 apps, games and Alexa skills, including Prime Video, BBC iPlayer, ITV Hub and more. Access to millions of websites such as YouTube, Facebook is included as well as the ability to launch apps and control content with the included Alexa Voice Remote. Simply say “Launch Netflix” or “Skip ahead 5 minutes” and Alexa responds. Plus, play music, search for local restaurants and more. Hours of entertainment! Available now for £39.99 from Amazon. For teens or tweens who long to receive their first smartphone this Christmas, but happen to have parents on a strict budget, that wish to spend less than £100, then this lightweight, glossy black 4G smartphone is an affordable alternative to costly premium models. The Alcatel 1 has a sizeable 5-inch screen in a neat, compact device. With an 8MP rear camera and 5MP front facing camera it will fulfil all photo and selfie requests. 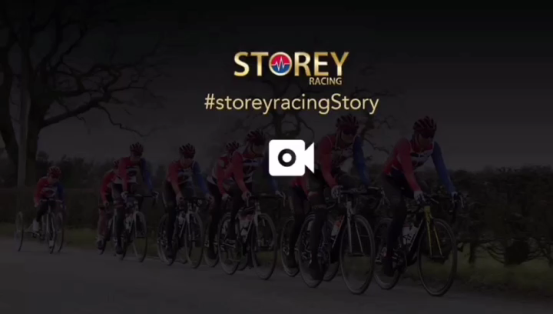 Meanwhile social media sharing features such as ‘Instant Collage’, ‘Photo Booth’ and ‘Social Square’ let users snap and share image and video content quickly and easily. The Alcatel 1 Android smartphone also comes with built-in ‘One Handed Mode’ meaning all camera features are kept easily in reach and its super swift to swipe to activate, change camera settings and snap the shot. The affordable smartphone available for £69.99 from Carphone Warehouse. 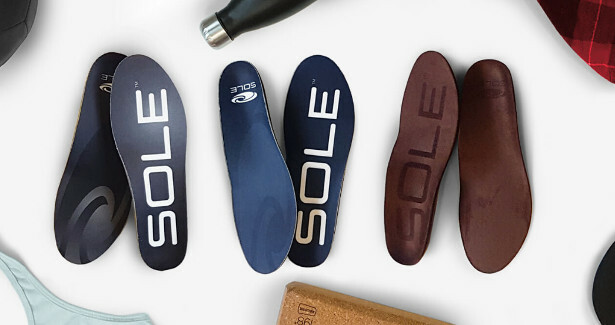 SOLE, creator of customisable insoles. The positioning of your feet can affect the health, comfort and performance of your entire body. Orthotic insoles are designed to improve alignment, treat foot and ankle pain and prevent injury. They can be heat moulded in a conventional oven to ensure custom fit and they also contain an odour wicking topsheet and Polygiene® odour control technology to ensure your feet stay fresh no matter what you throw at them! SOLE have insoles for every activity starting from a price point of £25. An Ask Men journalist once described them as ‘worth their weight in diamonds’ and I would love if they could be included in your gift guide. Ideal for wanderlust travellers who venture off the beaten track, the Coleman Divide torch is tough and always ready to go, BatteryLock technology prevents residual battery drain in between uses ensuring you won’t be left in the dark, whilst the powerful 350 lumen output shines bright. This super-efficient rechargeable head torch adjusts at the wave of a hand, its super bright 300 lumen output and battery lock technology combined with its rugged outer make it a great gift for those that enjoy everything from family camping, backpacking and trekking to extreme adventures! 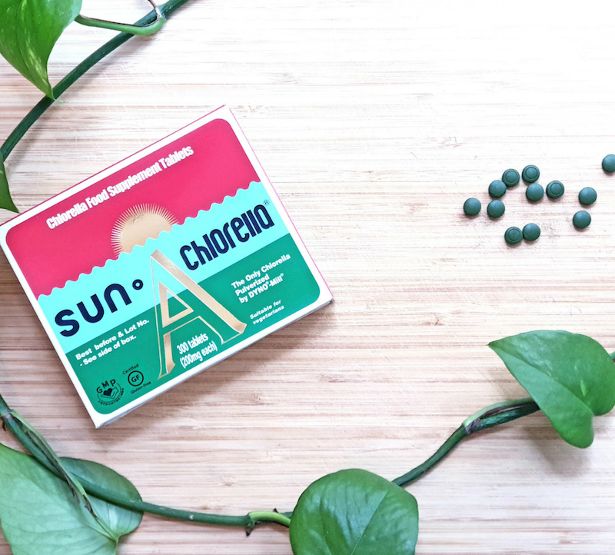 Chlorella is a kind of green algae, which grows in fresh water and can be harvested and dried to create a food supplement. Studies on the algae have shown it could have powerful and positive effects on exercise performance, including improving the efficiency of the body’s energy production and lactate removal systems1, improving VO2max2 and reducing the impact of intense exercise on the immune system3. 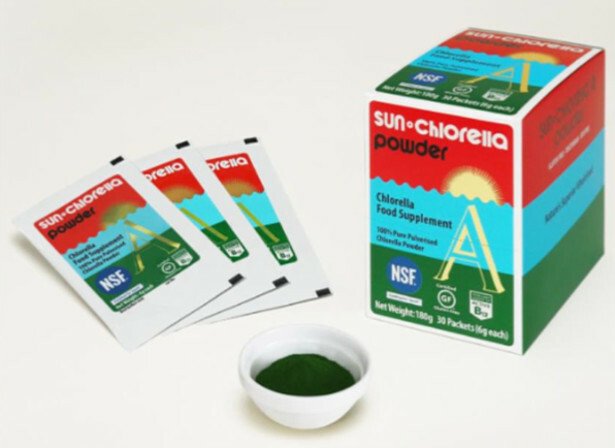 Sun Chlorella, one of the world’s leading chlorella brands, have now launched a chlorella powder specifically for athletes, aimed at improving performance. The latest addition to the Sun Chlorella range is a powder that is 100% pure chlorella, with no binders or additives, which is easily dissolved in sports shakes or energy drinks and is created using DYNO®-Mill technology – this helps break down the cell walls of the algae (without the use of heat or chemicals which can reduce the quality of the chlorella) to ensure when users get the most nutrients possible. o Products do not contain any of approximately 270+ substances banned by major athletic organizations. o The contents of the supplement actually match what is printed on the label. o There are no unsafe levels of contaminants in the tested products. o The product is manufactured at a facility that is GMP registered and audited twice annually for quality and safety by NSF International. The brand now hope athletes can get all the benefits of chlorella with confidence and be assured they are fuelling their performance in a positive and natural way. 1) Am J Physiol Regul Integr Comp Physiol. 2017 April 1; 312(4) 25. High-intensity intermittent exercise training with chlorella intake accelerates exercise performance and muscle glycolytic and oxidative capacity in rats. Horii N, Hasegawa N1, Fujie S1, Uchida M, Miyamoto-Mikami E, Hashimoto T1, Tabata I2, Iemitsu M3. 3) Eur J Nutr. 2017 Aug 19. doi: 10.1007/s00394-017-1525-9. The effect of Chlorella pyrenoidosa supplementation on immune responses to 2 days of intensified training. Chidley C1, Davison G2. Superfood Seaweed Snacks: super healthy and delicious! 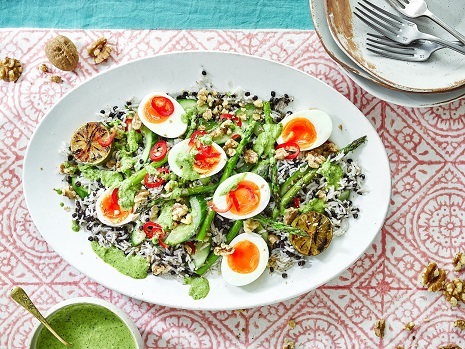 The spotlight is on seaweed and about time too! It’s finally being recognised as the natural, nutrient-rich, eco-friendly superfood that it really is. 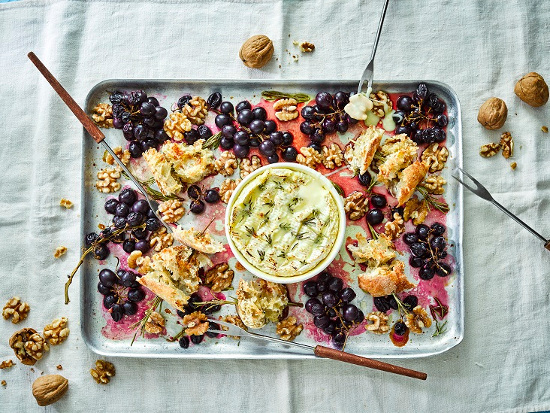 However, as lovely as walking along a beach and foraging for seaweed sounds – you really have to know what you are doing to seek out and find the tastiest stuff. Now you can enjoy all of the amazing health benefits of seaweed in a tasty and bite sized puff. As moreish as crisps, but at less than 100 calories per 22.5 g bag and packed with nutrients, antioxidants, electrolytes, vitamins and minerals, SHØRE Seaweed Puffs are easily one of the tastiest, healthy new snacks in town! With the equivalent over 6g of fresh Scottish sustainable seaweed in one bag, SHØRE Seaweed Puffs are naturally nutritious and packed with the good stuff, meaning that your diet is easily boosted whenever you eat them. 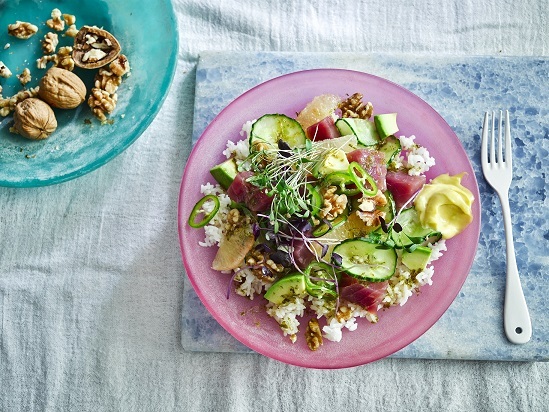 There’s no denying that seaweed is something of a nutritional powerhouse. 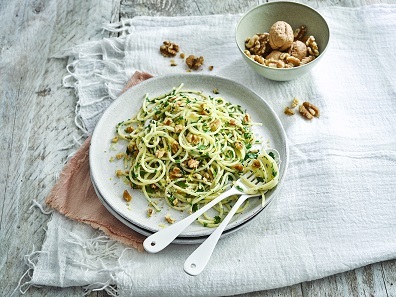 In fact, it is much more nutrient dense than just about any land vegetable and is rich in vitamins, minerals and protein, as well as being low in calories, high in soluble fibre and a great source of antioxidants. 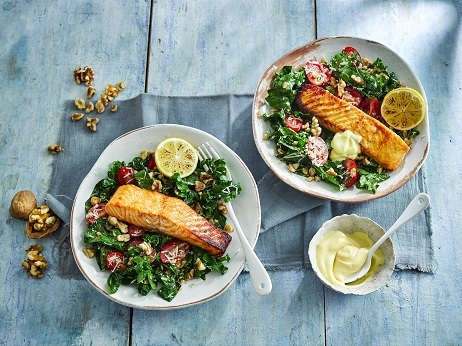 Did you also know that seaweed is also a great source of iodine, a nutrient that is missing in almost every other food! Iodine helps regulate hormone levels and thyroid function, as well as supporting a healthy metabolism and maintaining energy levels. 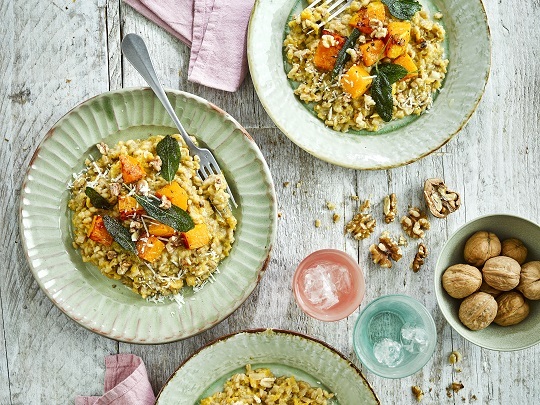 Many vegans and pregnant women need more iodine, as do those who have replaced milk with plant-based alternatives such as almond or soya, as cow milk is naturally high in iodine. What does our Nutritionist think? Nutritionist Fiona Lawson comments, “Studies suggest that humans have enjoyed seaweed for over 8,000 years. The ancient Chinese considered the sea vegetable a delicacy to be given to guests of honour, while the Welsh made the most of its unique flavour in laver bread. Today, seaweed remains a staple of the traditional Japanese diet, which is considered one of the healthiest diets in the world. It’s rapidly gaining popularity in the West too- and for good reason. Most of us will have only eaten imported seaweed, usually from Japan or Korea, which clocks up thousands of air miles before even hitting supermarket shelves. You can be safe in the knowledge that SHØRE’s seaweed is homegrown, sustainable and 100% Scottish. Based in the town of Wick, perched on the rugged windswept coast on the far North Eastern tip of Scotland, the SHØRE team ventures out in all weather to hand- harvest the seaweed in crystal clear, unpolluted waters. The team collect all plants by hand, taking only what they need for the puffs and leaving more than enough for the seaweed to fully regenerate, making the process completely sustainable. 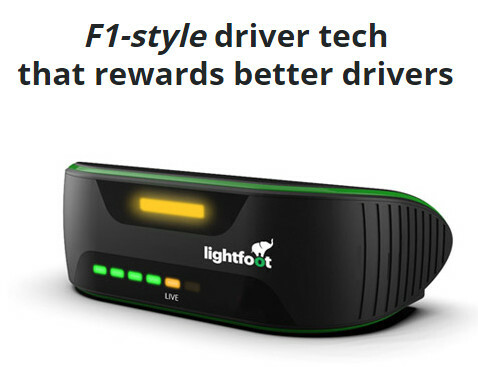 Lightfoot is the latest in connected car technology that uses Formula 1-style analytics to help drivers stay in their vehicle’s efficiency ‘sweet spot.’ Described as being like a ‘Fitbit for cars,’ Lightfoot’s discrete dashboard device helps drivers cut fuel consumption and emissions by 20% while reducing their chances of having an accident by up to 40%. But that’s not all: its app and revolutionary rewards platform make smooth, efficient driving genuinely valuable. The platform offers discounts on everything from food shops and coffees to holidays and the latest tech. Alongside the 100+ discounts available through Lightfoot Rewards, you can use your smooth driving score to win cash giveaways and other prizes in weekly competitions, and you can compete against friends and family in leagues. Finally, good driving is worth something! 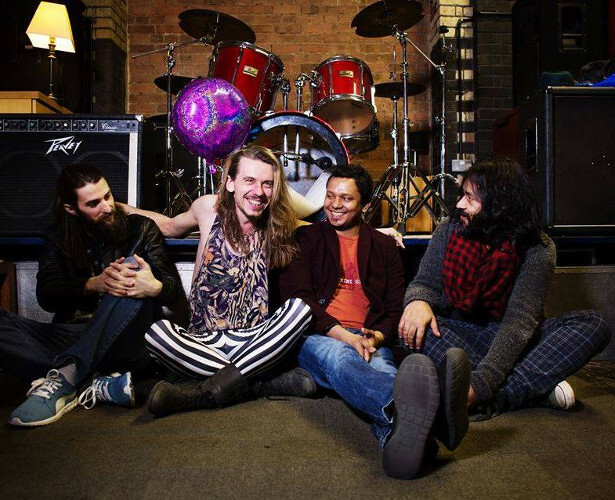 Lightfoot is currently priced at £99 plus an optional £3.99 per month subscription for access to the rewards platform. 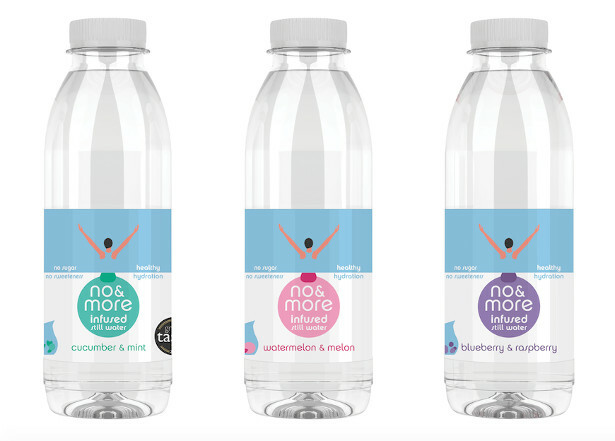 no&more is free from sugar, sweeteners, calories and preservatives and available in three different flavours, cucumber&mint, watermelon&melon and blueberry and raspberry. Stockists include Boots, Waitrose and Ocado. 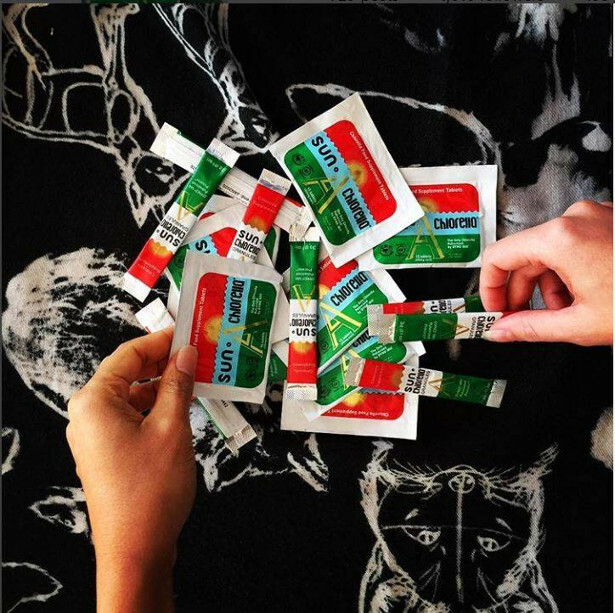 The Salonpas Pain Relief Patch LARGE is the ideal stocking stuffer for friends and family who are in pain. 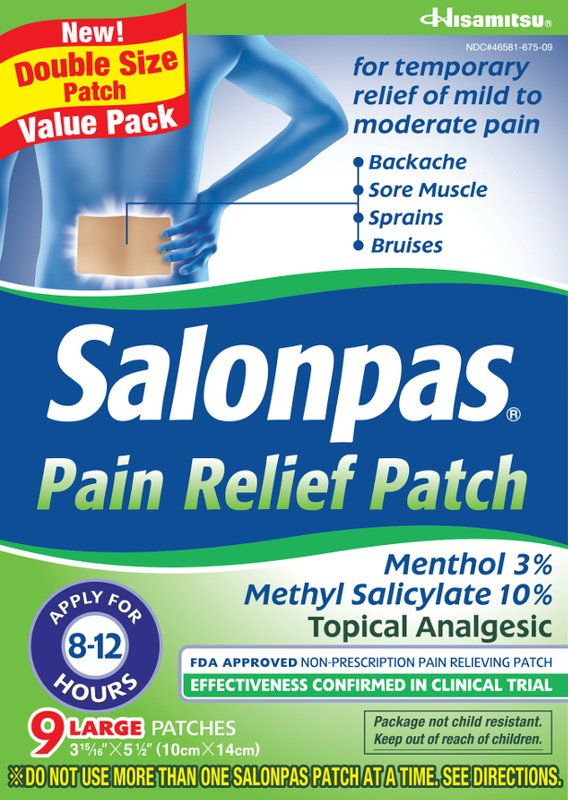 Hisamitsu America, a division of Hisamitsu Pharmaceutical Co., Inc., and the marketers of the Salonpas® line of pain relieving products, announce the availability of the Salonpas® Pain Relief Patch LARGE (SRP: $17.99) in a new double size value pack that includes nine large patches. Please advise if In Touch Ruby would like to receive the product. 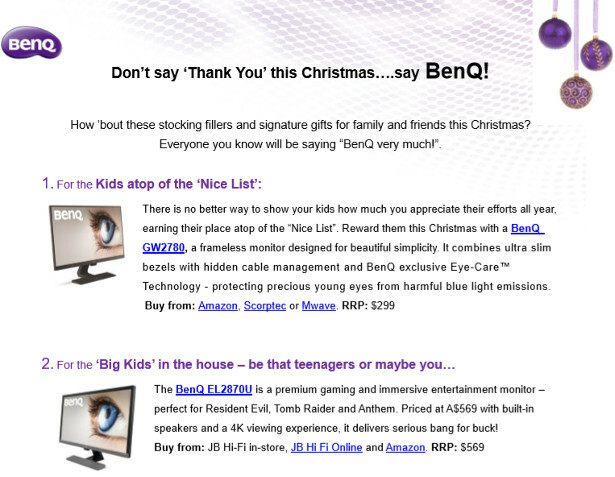 Product JPEG attached to this email. 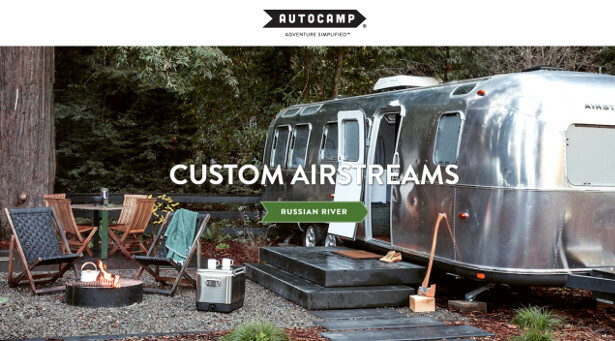 AutoCamp is a modern and stylish outdoor hospitality experience that makes connecting with the great outdoors easy for everyone. As the leader in outdoor hospitality, the unique properties are known for beautiful modern Airstream suites, luxurious tents, and mid-century modern clubhouse. 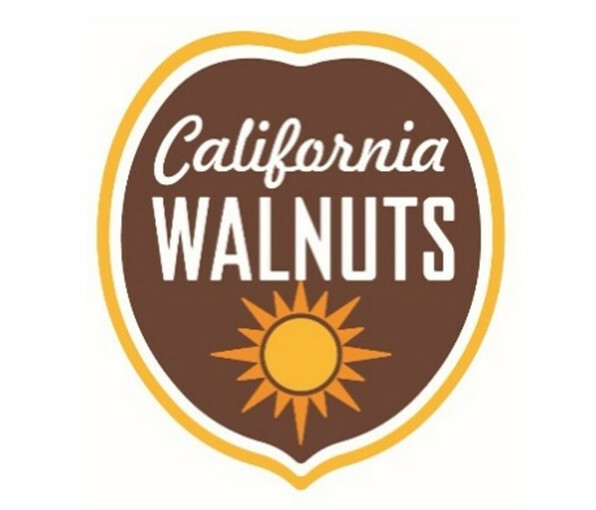 They have locations in Santa Barbara, Russian River and Yosemite will open in early 2019. Feel free to use the images below for a post or on social or both. They are pics of the Airstream at the new Yosemite location. How about suggesting a gift of travel to Santa Barbara (winter weekends starting at $299); the Russian River Valley (winter weekends starting at $255); and soon to be open at Yosemite in Mariposa, California (winter weekends starting at $215)? People can log on to shop.autocamp.com to purchase gift certificates in increments of $50 up to $1000. New to the UK, award winning sparkling AQUA Carpatica is nature’s perfect water and virtually nitrate free (AQUA Carpatica Natural Sparkling Water is naturally nitrate free). 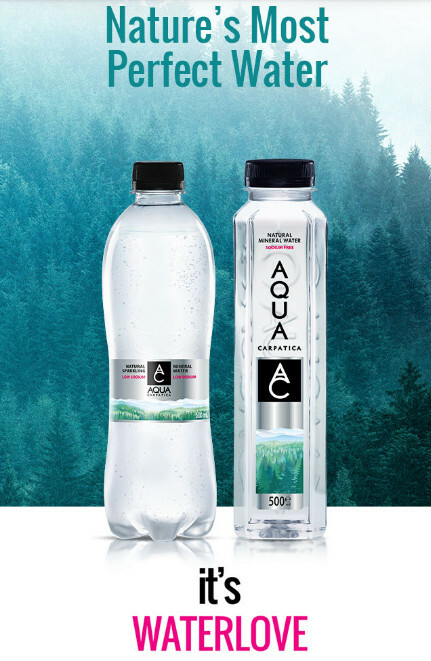 Bottled at source, AQUA Carpatica combines an exceptionally balanced mineral content with a crisp and refreshing taste to provide a water like no other. Perfect for replenishing and rehydrating in the New Year. Whether you are looking for that special gift for a rugby mad dad, a stocking filler for a fitness fanatic mum, or a gift for the friend that seems to have everything, Gilbert and Grays International has it covered. With every carbonating bottle, SodaStream prevents 3,700 single-use plastic bottles and cans from being used and discarded. Not only is SodaStream great for the environment, but people with SodaStream drink 3 more glasses of water a day. 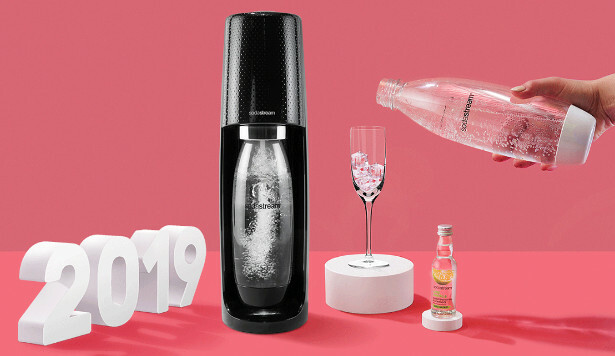 The FIZZI ONE TOUCH is SodaStream’s newest electric sparkling water maker that carbonates water at just the touch of a button and comes in black or white; and the AQUA FIZZ is SodaStream’s most premium sparkling water maker that comes with glass carbonating bottles that are specially designed and dishwasher safe. If you are interested please let me know which machine you would prefer, and the best address to reach you at. The FIZZI and FIZZI ONE TOUCH come in either black or white. I would also be happy to put you in touch with SodaStream USA General Manager, Jecka Glasman, who can speak on what the beverage industry should be doing to curb the flow of single-use plastic. tech21 are a leading impact protection brand who design a range of slim and stylish cases for all the latest smartphone – including the new iPhone XS and Samsung Galaxy Note9. Tech21 cases use their patented FlexShock™ material and are scientifically proven to protect smartphones from drops of up to four metres, drop after drop. 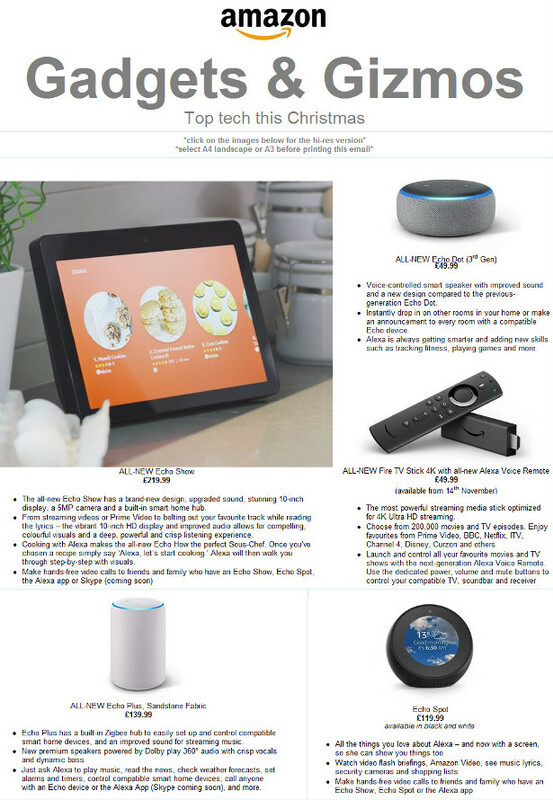 With smartphones playing ever-central roles in our day to day lives, thought this could be a great fit for your Christmas gift guides “for him” and tech lovers. Local Australian fashion and lifestyle brand, Piping Hot, has got you covered with their latest eco range. The best part? It’ll guarantee you a place on Santa’s nice list. This summer, 94% of Piping Hot’s swimwear line is made with Repreve fabrics, which is made up of recycled materials, including plastic bottles and fibre waste. Each year, 8 million metric tons of plastic ends up in the ocean, and Piping Hot is on a mission For Clean Oceans, turning recycled materials into key summer pieces. The eco-friendly range offers a variety of pieces from bikinis and one pieces to rash vests and boardshorts. All styles feature hand-picked prints for the season to have you covered for fun in the sun. Active wear collection Work+Play’. The perfect combination to suit your 7am to 11pm lifestyle. The must have item for all active professionals looking to combine work with all sorts of sports, whether it’s running or cycling the Targus fitness rucksacks are the ideal accessory to combine your Work/Life balance in only one bag. Intelligently designed, with three dedicated compartments for your laptop (up to 15.6″), daily accessories and sports gear, it’s as versatile and adaptable as you are. 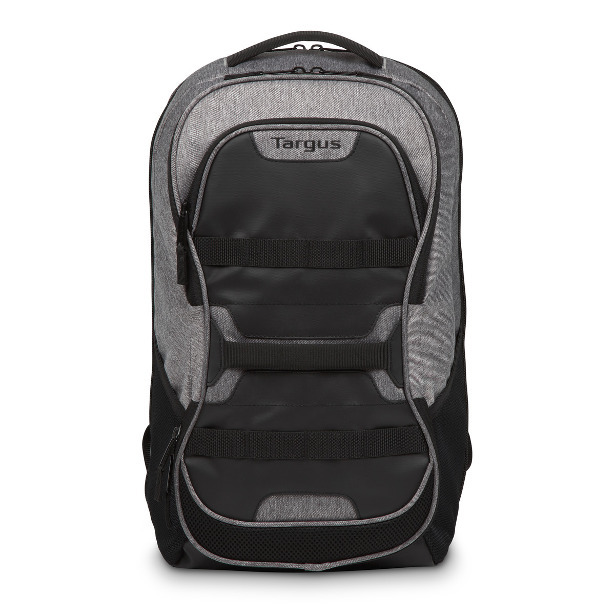 Targus have created a dedicated section to keep your clothing (including a detachable laundry bag) away from your tech and there’s even a ventilated front compartment designed for transporting your work or sports shoes. It’s a real game changer! The Fitness Backpack is available in grey and black, and the cycling backpack in black. The Work+Play collection enables you to combine your work with your workouts – the perfect everyday solution. If you or you know of a colleague who is interested in covering or reviewing the Work+Play range, please let me know! I can provide additional photography if required and here is a video to show you just how versatile the bags are! 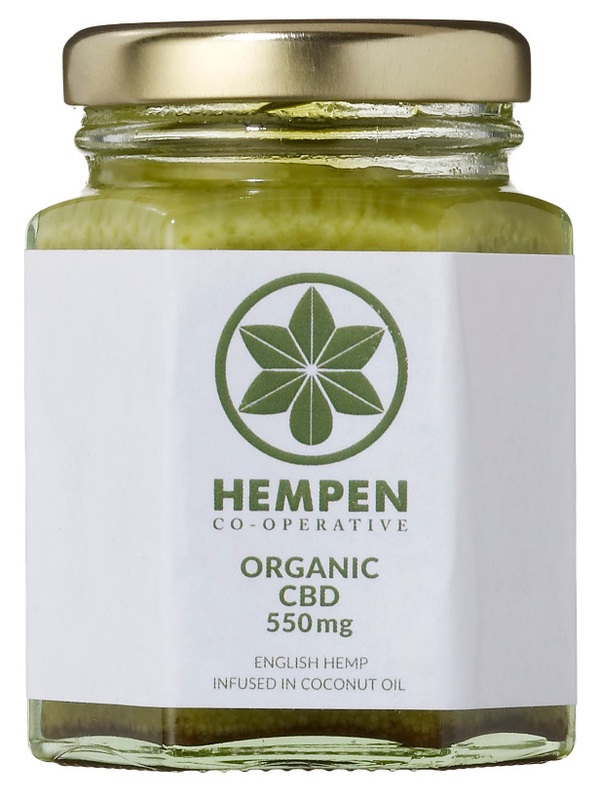 Hand crafted by Hempen, the UK’s only organic hemp growing cooperative, this CBD infusion is a perfect muscle rub for straight from the gym or pitch. Harnessing the powerful anti-inflammatory effects of CBD, it’s great for aiding recovery from training or injury as well as providing all round immune and wellbeing support through your body’s Endocannabinoid System. Use it topically or add to smoothies or hot drinks – CBD bulletproof coffee for the win! Find it online at www.hempen.co.uk/shop or get in touch via Facebook, Insta or Twitter @hempenorganic. THE GYM bunny is declining in popularity, as women are favouring another form of exercise in 2018, according to a landmark study into the UK’s exercise habits. A survey of more than 7,600 UK adults published by Decathlon in the Decathlon Activity Index 2018, shows that more than half of women (53%) regularly go swimming. This beat the gym to the top spot – fewer than half (46%) claim to use the gym regularly. Meanwhile, more than 1 in 3 (34%) women said they get involved with cycling as a form of exercise. Yoga/Pilates was also a popular form of activity for women, coming in fourth place, closely followed by running which rounded off the list of top five sports women regularly do. However, it’s not all bad news for gyms, as gym-based exercise is still the most popular form of exercise among men – just 1% less than women, showing gyms are levelling out gender wise. Philippe Rebelo, UK Marketing Director at Decathlon commented: “The rise of the gym bunny is something we have seen propel in popularity in the sport industry over the last two years. However, our research shows swimming is favoured as the number one sport for women. This isn’t surprising given the advantages of this sport – swimming can tone and strengthen muscles and is a great way of decreasing stress and anxiety. 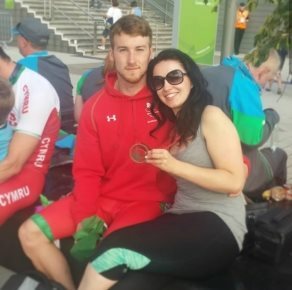 Not only this, but swimming is one of the sports that the UK has been successful competing in thanks to talent like Ellie Simonds and Rebecca Adlington. About the Book Fitness for Winning Rugby is a unique publication in as much as it looks at fitness for rugby in the widest sense of the word. Alongside core fitness information it includes valuable chapters on nutrition, injuries, recuperation from injury both physically and mentally as well as the importance of training and playing the game free from drugs that will enhance performance. 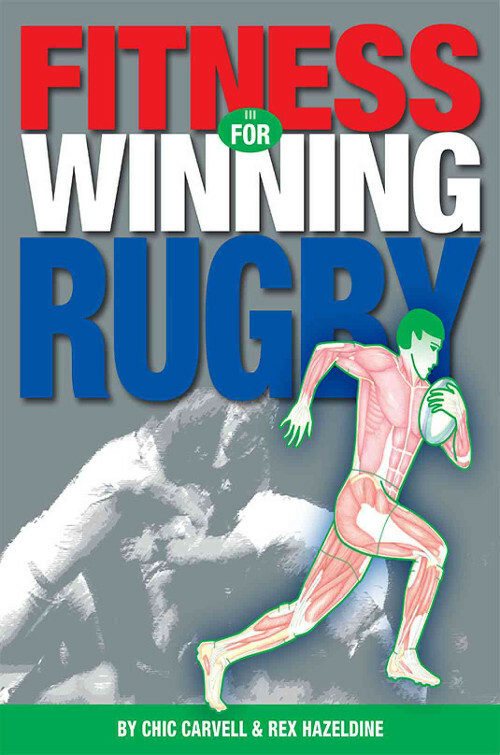 Throughout the book are colourful diagrams linked to physical training together with hand drawn anatomy illustrations that add an important educational dimension which makes Fitness for Winning Rugby an essential publication for parents who have children playing rugby, coaches and players of all ages and sexes. It will be especially useful for developing players who are looking for ways of taking their game to the next level and breaking into representative rugby. Students at schools and colleges studying the GCSE and A Level Sports Studies involving the principles of fitness for sport as well as the game of rugby will find this book an important reference source. “Improving your fitness is not something that is going to happen overnight; it has to be a behaviour change, often a lifestyle change. However by following the key steps highlighted in this book it will certainly help in winning the challenges ahead”- Andy Robinson OBE. About the Authors Chic Carvell trained as a Physical Education Teacher at the Scottish School of Physical Education, Jordanhill, Glasgow from September 1969 to June 1972. Having gained a Diploma in Management Studies (Recreation Management) in 1973 he spent the next ten years managing Leisure Centres in the UK and abroad, pioneering the health/fitness assessment concept when running businessmen’s fitness programmes. 1985 saw the birth of his Company, Chartex Products International Limited that, since its conception, has been at the forefront of designing education charts for the Fitness, Sports and Education industries. Chic has trained many sportsmen and women at club and international levels. Rex Hazeldine worked for over 30 years as a lecturer in Sport and Exercise Science at Loughborough University, becoming Director of Sport. He has been fitness advisor to the England Rugby Squad and the Rugby Football Union and director of fitness to the Women’s Rugby Football Union. He is the author of Fitness for Sport and Strength Training for Sport and co-writer of The RFU Guide to Fitness for Rugby (1991). In recognition for his work in fitness and sports coaching he has been inducted into the Sports UK Coaching Hall of Fame. They already have guys wearing them for touch rugby in both Australia and the UK, and the movement is growing in the States. 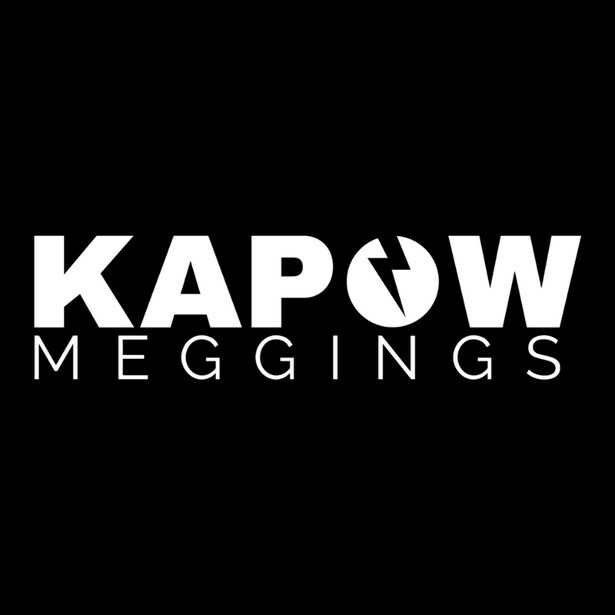 Kapow Meggings are made for men who attack life with the confidence of a high performance athlete. 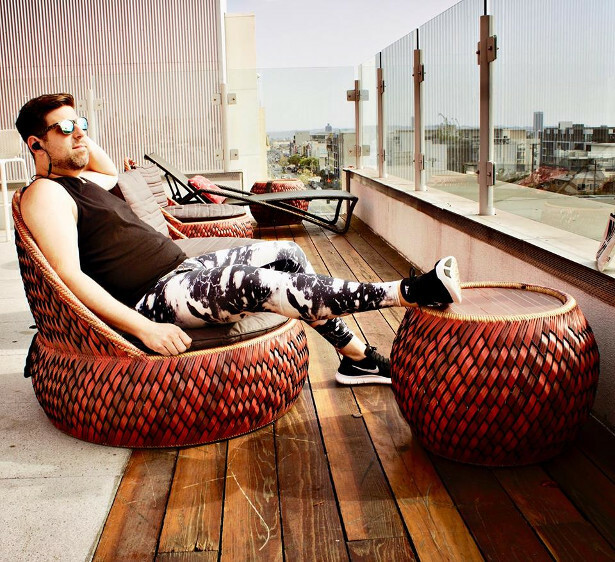 Founded by Sydney brothers Ben & Jordan, Kapow’s leggings are designed especially for men and feature a show-stopping range of wild prints and killer colours. They’re made to fit like a second skin, and look like a million dollars. With styles ranging from Geotech to High Voltage, and neon leopard print to exploding supernovas, their designs are all about self expression, having fun, and standing out. Men all over the world wear Kapow’s for fitness, fashion, and festivals. Men don’t have to wear boring workout gear. 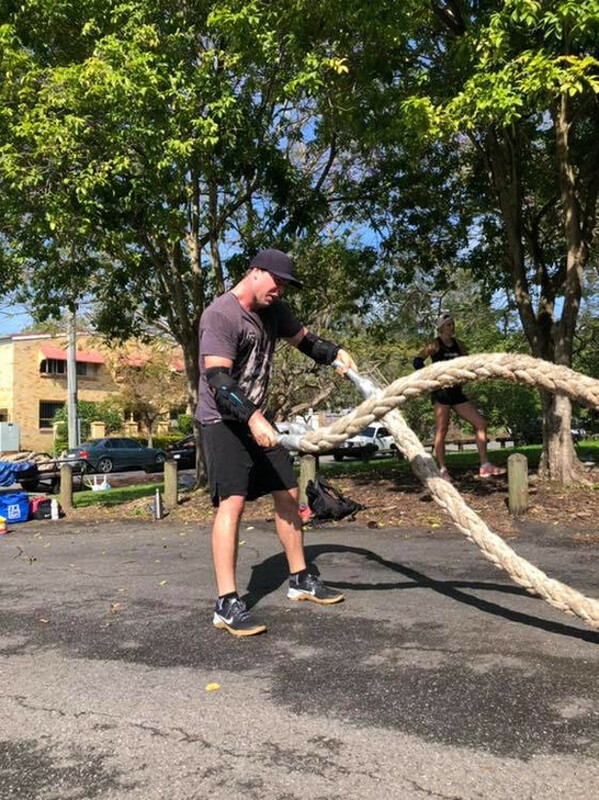 Whether they’re on the rugby field, squatting, running, downward dogging, or mother flippin’ BASE jumping, men need to look the goods and wear gear that can support high endurance high impact activities. 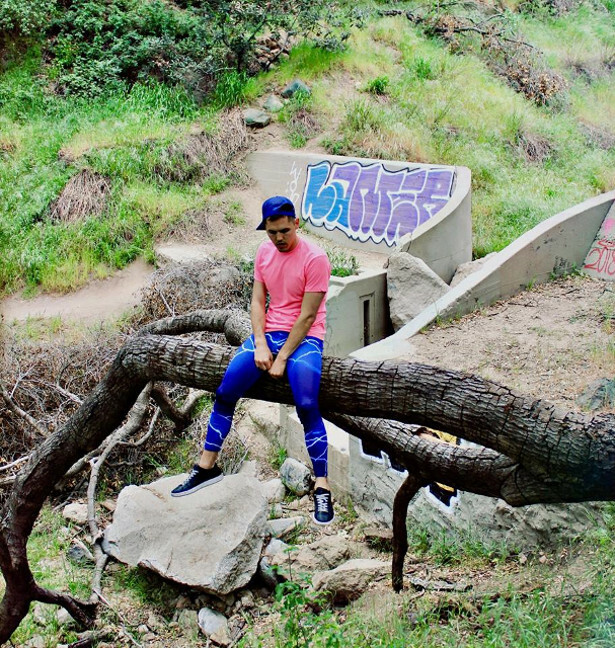 But guys don’t have many options when it comes to premium quality athletic mens leggings that aren’t black, blue or… actually, that’s about it. The new Performance Range is designed to supercharge male gym style with wild prints and killer colours. 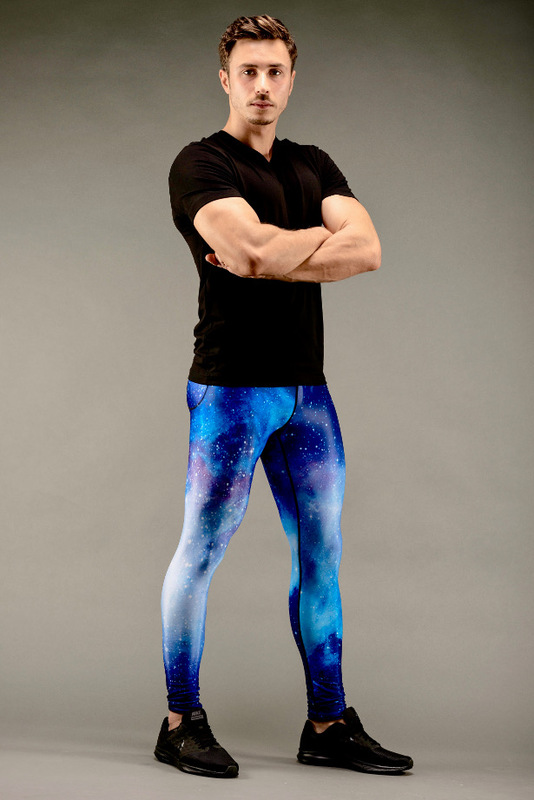 Kapow Meggings have just launched a range of athletic leggings for men who have 99 problems but a bench ain’t one. It’s work-out gear that is engineered to get physical and designed for men who like to stand out from the crowd. 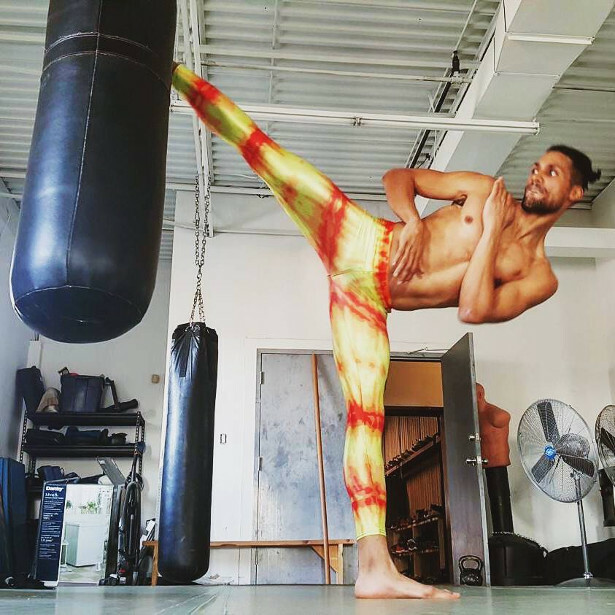 Kapow’s leggings are battle-tested by amazing athletes from all corners of the world – our brand ambassadors include BASE jumpers, yoga teachers, bodybuilders and aerial acrobats. Secretly Healthy Sweet Treats E-book. It is a totally free e-book of healthy and scrumptious dessert recipes that my family and kids love! During the holiday season, indulgent desserts run rampant and it can be hard for people to resist if they are trying to live a healthier life. Well, what if you don’t have to? Instead, make some of my healthy Peanut Butter Chocolate Chip cookies. 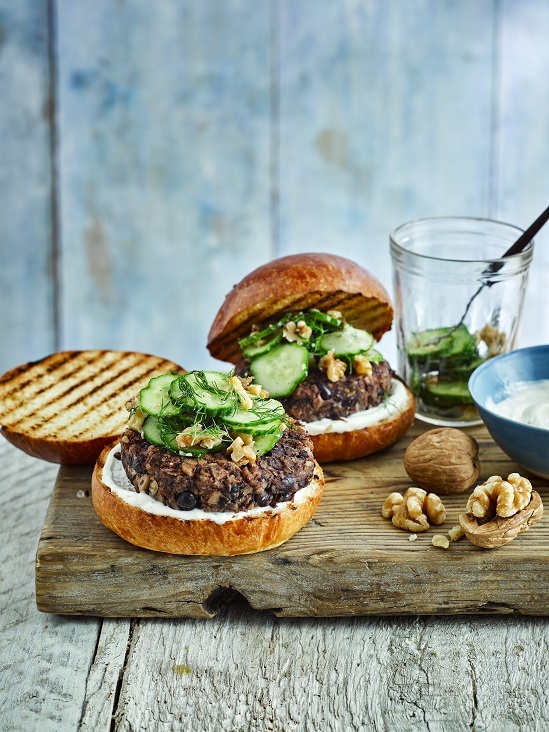 They are high in protein and healthy fats, and they are a hit with people of al l ages. 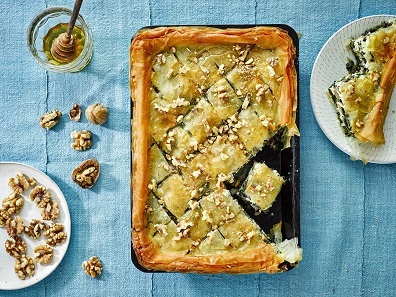 Or impress your guests with a Marbled Chocolate and Pistachio Slice, They’ll never know they are actually nourishing their bodies with healthier ingredients than other seasonal desserts. 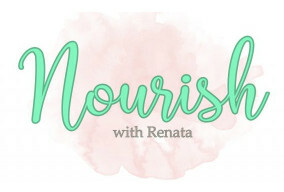 You can download the free e-book by going to NourishwithRenata.com and clicking on the Free E-book link in the menu bar. 10% discount code is “intouch10” for the www.pellleres.com.au site. Pelleres are award winning fitness device designed to get to your fitness goals faster. Exercising with Pelleres you will burn more calories in a shorter time, example 21 mins vs 27 mins for 550 calorie burn. 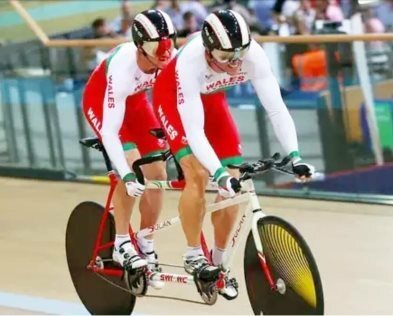 Used by elite athletes the secret is now out! Pelleres are ideal for functional training. As simple as putting them on and working out, so easy and effective. Pelleres are an international award winning core strengthening device. Classified as a functional strength training device, Pelleres’ unique patented design “switches” on abdominal muscles in isolation. The weight range; scientifically calculated to a resistance level based on muscle activation. The position of the weight. The “opposite lever” for muscle activation. Anchoring mechanism. Fast movement patterns with minimal change in position. Grand Final Technologies are innovators in the sports industry. We design and manufacture core strengthening systems and devices that help people realise their TRUE ATHLETIC POTENTIAL. Pelleres are the latest innovation in functional strength training devices. They are scientifically developed to activate core muscles during exercise. 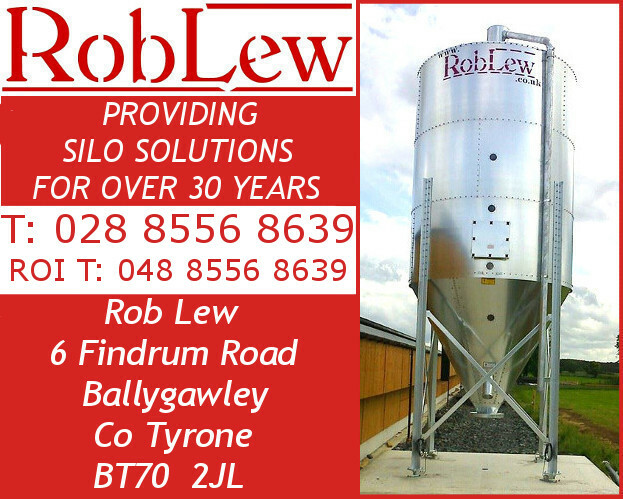 The specific weight and position are key to the effectiveness of Pelleres. 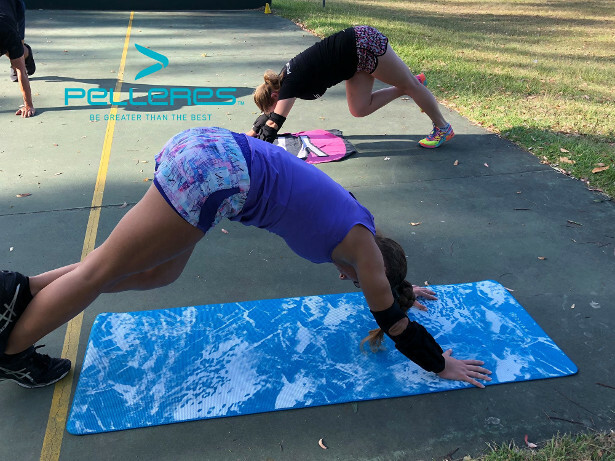 Pelleres™ is the latest innovation in sports technology that was developed in Brisbane, Australia. Pelleres™ is a functional strength training device that instantaneously improves your performance. Just by wearing Pelleres™ you can run faster, jump further, throw longer, kick balls harder, and hit things with more power! I know, totally unbelievable but true! But that’s not all, you also will get fitter faster, improve your core strength, and be able to recover from injuries quicker. Back pain? No more with Pelleres™; your back muscles are strengthened, which greatly improves core stability and posture. How come and why is this so? Good question. Firstly Pelleres™ is based on well accepted principals of resistance, overload, counter balance, and the fundamentals of biomechanics. How it works. As soon as you put on Pelleres™ you are creating a slight imbalance in your body. And what happens is that all your fine core stabilizers muscles are called into action to restabilize this imbalance. Because the weight added is so light it’s not your major muscles groups that have to work harder but instead your fine core stabilizers are called into action. Now because your core is actively engaged (or harder), your body immediately becomes more efficient in its activity and your performance instantaneously improves. It is a well accepted fact that there is a direct correlation between core strength and overall performance. When you wear Pelleres™ all your core and stabilizer muscles are specifically targeted. The light weight targets your fine core stabilizer muscles and because they are working harder they get stronger. Pelleres™ is based on a breakthrough scientific observation that by positioning slight weight on your forearms your body immediately becomes more efficient. Basically Pelleres™ tricks your body into working better. It’s incredible that something so simple can make such a difference! Yes Pelleres™ are fantastic for athletes and pro sports men & women BUT they are equally beneficial for anyone wanting to improve their health, lose weight, or just get into better shape. Just by exercising in Pelleres™ you burn more calories without any extra effort. Amazing but true! Pelleres™ are excellent for rehabilitation. 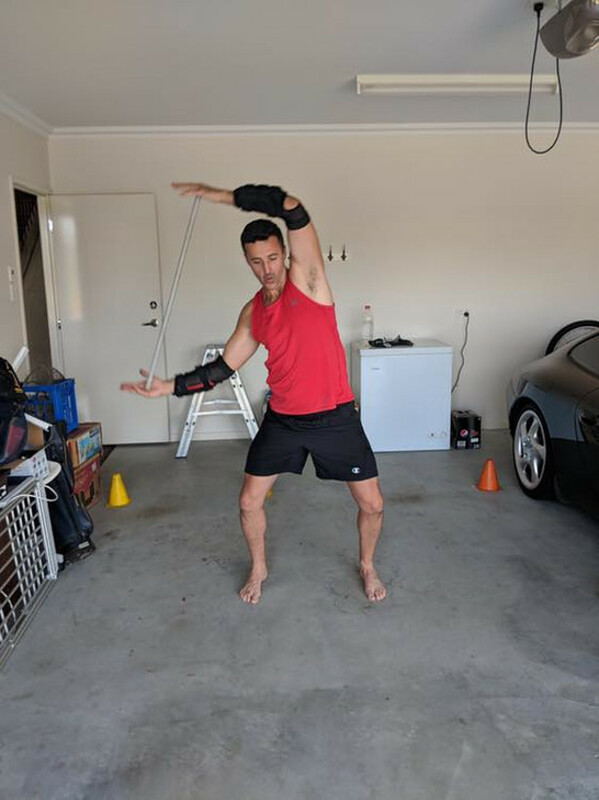 Overcoming any injury? Pelleres™ are excellent for shoulder, back, abdominal, hernia, knee, groin, hamstring, calf, or ankle injuries. They help reprogram or establish “correct” movement patterns. If you are a personal trainer, coach, physiotherapist, Doctor, or chiropractor ask us about incorporating Pelleres™ into your business. It’s incredible that something so simple can make such a difference! Tell us what you think. Post a message or comment; we would love to hear your thoughts on Pelleres™. 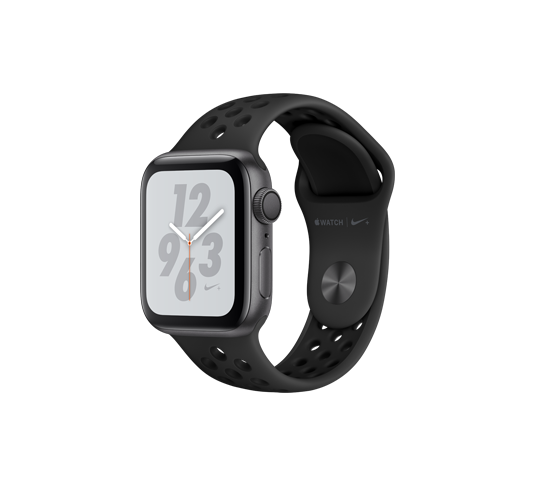 Apple Watch Series 4 Nike, 40mm Space Gray with Anthracite/Black Sport Band – R7999. Available from Digicape. New MacBook Air 13’ DC i5 1.6GHz/8GB/128GB – Gold – R21499. Available from Digicape. 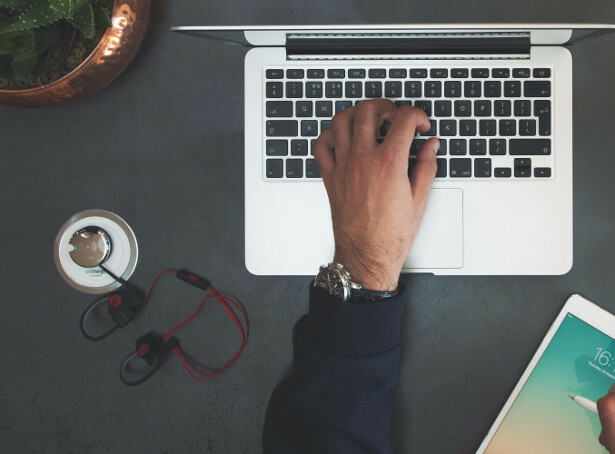 The MacBook Air is perfectly portable and ideal for professionals on the go, offering the capabilities of a laptop with the compactness of a notebook or tablet. And as the greenest Mac available – with a case made from 100 percent recycled aluminium – it ticks all the environmental boxes too. Apple Airpods – R2659. Available from Digicape. The new wireless Apple Airpods are perfect for that person in your life who hates being tied down…and wires are just soooo 2017. Airpods connect instantly when you put them in your ears, offering crystal clear sound without the pesky wires. LaCie 2.5” Rugged Thunderbolt 3 & USB-C. Available from LaCie. LaCie’s signature Rugged hardrive is the crème da la crème of on-the-go storage solutions, offering unrivalled speed and capacity – all enclosed in a highly-durable, shock and water-resistant casing. 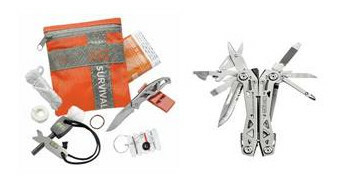 Spoil your artsy industry friend with a Rugged and we guarantee it will never leave their side. LaCie DJI Copilot. Available from LaCie. Knock the socks off your content creator friend with the LaCie DJI Copilot, a backup on-set solution that allows you to jumpstart post production (via an app), with no laptop required. You can connect Copilot to your phone or tablet via USB and launch the app (no internet required), to playback video, or to organise and manage files. 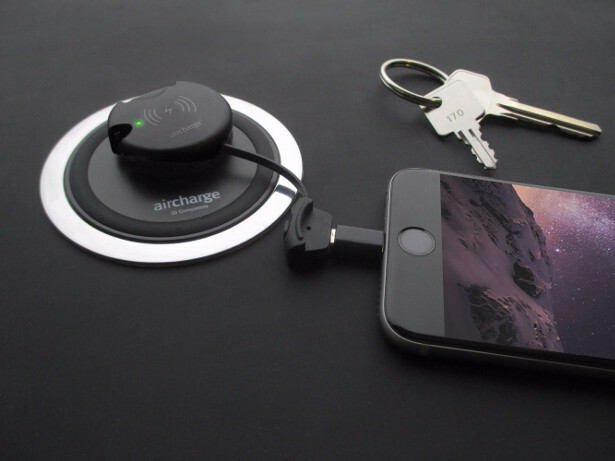 The device is compatible with iOS and Android phones/tablets, Mac and Windows, drones, DSLR cameras and action cams, making it highly sought-after by content creators, film makers and drone operators – for obvious reasons. Satin Pillowcase – R320. Available from Granny Goose. Granny Goose’s satin pillowcases are the ideal gift for your girlfriend who has everything. Unlike cotton which draws moisture from your skin, satin pillowcases retain your skin’s moisture balance, helping prevent the formation of wrinkles, while also keeping your locks shiny & knot-free. This luxe pillowcase is guaranteed to leave you humming “I woke up like this!” under your breath all day. 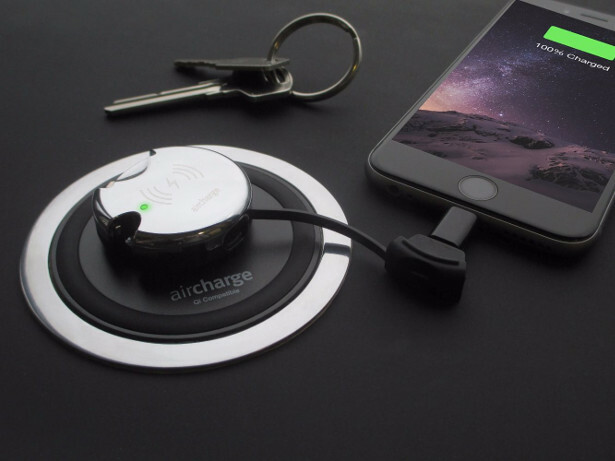 The creators of the S-Charge, InDemand Design, launched the product on crowdfunding platform, Indiegogo, achieving its fundraising goal in 48 hours of going live. The campaign was supported by over 4,000 backers making it the best-selling crowdfunded Nintendo Switch accessory. With more than 5,000 units sold across 60 countries, the S-Charge has gone from strength to strength with the aim of being a must-have for all gamers. The S-Charge also has an improved kickstand which offers greater stability and can be used in multiple angles to change the way you play. As the charging port has been moved to the right-hand side of the case, the S-Charge is one of the only ways to charge while playing in table top mode. No need for extra carrying cases, the S-Charge not only protects the Nintendo Switch™ but also has slots for 2 extra game cards to bring along with you on the go. 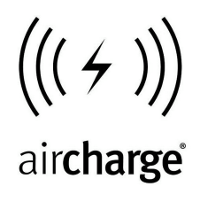 The S-Charge has been built to combat the problems of overheating and potential warping of the device. A bundle version is available with two free screen protectors and a hardshell carry case at an RRP of £64.99 from Amazon, John Lewis and Currys. 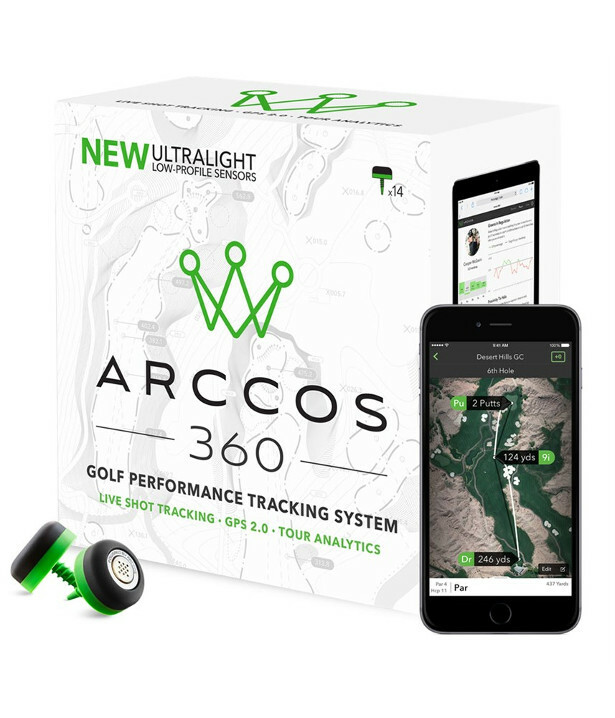 If your family or loved ones are tech-loving golf addicts, then the Arccos 360 Golf Tracking System may be the golfing product to purchase them this Christmas. 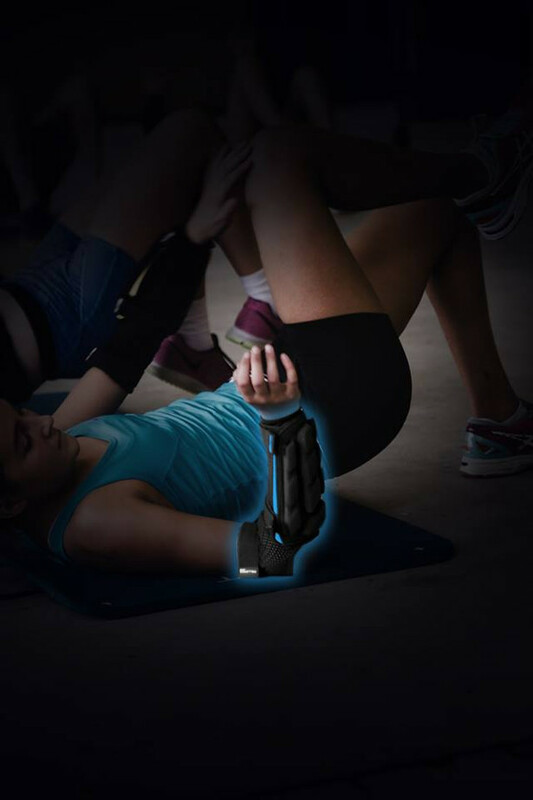 The device pairs up with your phone and provides players with real-time stats using GPS and shot tracking technology to really help improve performance. The Arccos 360 Golf Tracking System sends stats to your paired device instantly and can be used anytime or anywhere you’re playing a round of golf. The Proprietary Tour Analytics platform system interprets your stats, which means users can analyse their performance during a round of golf. With the instant data available at your fingertips, you can adjust your swing immediately to help improve performance. Arccos 360 Golf Tracking System allows for completely seamless play, which means there is no need for additional actions that may interrupt your round of golf. 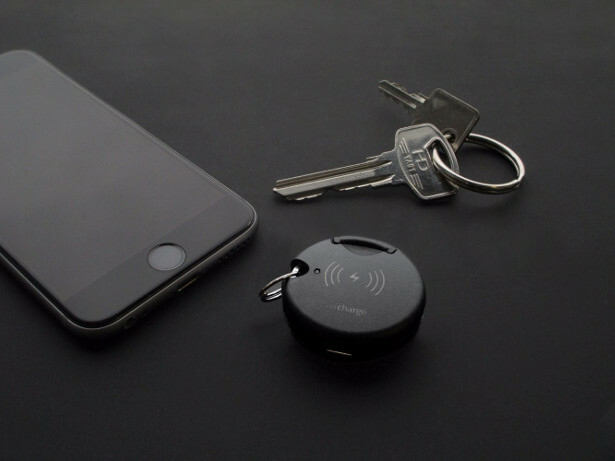 The one-time Bluetooth pairing process makes it simple to set up every time you set out on a golf course. Meanwhile, the sensors can easily be attached onto the end of your golf grip and with sensors weighing less than 12g, the device has zero impact on the golf swing. 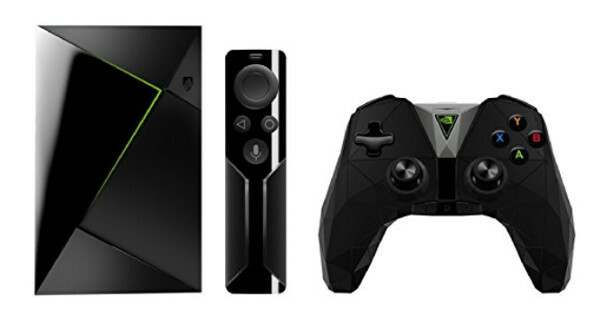 The NVIDIA Shield TV is a brilliant tech gift for Christmas, offering a transformative TV experience, with hundreds of apps and games, plus built in Google Assistant. Created with the goal of ensuring safety without limiting independent play and exploration, the XPLORA 3S offers an instant channel for communication between parent and child. 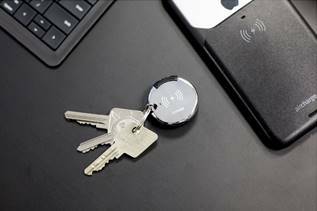 By combining geolocation technology with a child-friendly interface, the 3S is the perfect solution for adults, who wish to maintain contact with their children, yet do not want them to have unsupervised access to a traditional smartphone,. XPLORA 3S retains the basic functions of a phone, with the parent or guardian being given the ability to preset up to 12 numbers from which calls may be made or received. One-way text messages can also be sent by the parent to the child’s watch phone. With safety at the heart of XPLORA 3S’s design, should the child feel in danger, they can press XPLORA 3S’s SOS button and the watch phone will dial the 12 pre-programmed contacts until a response is received. An alarm sound can also be triggered. XPLORA 3S’s sophisticated geolocation capabilities provide parents with an unobtrusive yet dependable means of locating their child at any given time, whether by checking the parental app, or receiving notifications whenever the child enters or leaves a ‘safety zone’ – a preset geographical location. It also comes fully equipped with a camera and photo storage, is fully submersible for up to 30 minutes to a depth of 1.5 metres, and is also the only device of its kind with Amazon Echo integration. The XPLORA 3S is available from Amazon, as well as directly from the XPLORA website, with prices starting at £179.99 (inclusive of 12 months of minutes and data). From experiences for thrill seeking couples and horse fanatics to cycling enthusiasts and animal lovers, Lee Valley Regional Park has the perfect gift ideas guaranteed to make an unforgettable Christmas! 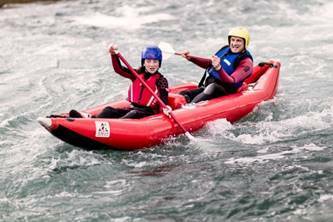 Give daredevilling duos the gift of water–fuelled fun at Lee Valley White Water Centre this Christmas. Couples can Jump into action as they surf their way down the rapids holding on to a hydrospeed or enjoy an exhilarating Hot Dog ride down the legacy loop in an inflatable, two person kayak. The White Water Rafting adventure is the perfect present for daring dads, mad mums and brave brothers and sisters. Located at Lee Valley White Water Centre where Team GB won gold and silver during the London 2012 Canoe Slalom event, thrill seekers will create unforgettable memories as they tackle the drops, twists and turns of the venue’s exhilarating 300m long Olympic course. Introduce a loved one into the world of horse riding with a gift voucher for Lee Valley Riding Centre’s ‘Have a Go’ lessons. Ideal for beginners, these group sessions enable riders to experience being on horseback within a safe and relaxed environment, upon well trained horses and ponies. During the lesson, participants will get acquainted with their horse before learning the basics of horse-riding from mounting the horse to moving through the paces. A gift voucher for Lee Valley Park Farms is the perfect present idea for the little (and big) kids in your life! They can fill their day with a visit to our farmyard friends, explore the indoor and outdoor adventure play areas, ride down the Alpine Adventure before taking a ride to our working dairy farm on Tex the Tractor.